There are plenty of 24/7 parking lots adjacent to the Hall and in the area. The hall is located in the Lincoln Center and Central Park neighborhood. Street Parking may also be available. Please read the street signs carefully before parking on the streets. Meals, snacks, and beverages will be available for purchase at reasonable prices (cash only) downstairs in the Social Hall of the venue from 7 p.m. until early morning. No food and drinks are allowed inside the auditorium. These 8 days of tabla lessons and guided practice as a community of like-minded people is set up in the appropriate environment of Shanti Mandir, Walden, NY to create an opportunity for all participants to immerse into tabla, music and meditation. The Ashram will open on June 29th 5 pm with the arrival of all participants and their associates (if any) and close on July 7th after breakfast. During this period there will be multiples sessions of lessons, practice, listening-appreciation, discussions and recitals. The cost for enrollment is $1020. It includes tuition and 8 nights of boarding and lodging, a discounted rate of $40 per person per night. Attendees are welcome to bring their family or friends with additional payment of $320 person, at the same discounted rate of $40 per person, per night (adults or children). Check-in is on June 29th 5 pm and check-out on July 7th after breakfast. Boarding and lodging will include 8 nights of stay and 3 vegetarian meals everyday: breakfast (8 am), lunch (1 pm), afternoon tea (4 pm) and dinner (7 pm). Accommodations are in two types of rooms: double occupancy and triple occupancy. Please specify your preference along any food restrictions and/or allergies you might have at the time of enrollment. 2) At no times are drugs, smoking, alcohol, or non-vegetarian food inclusive of eggs, allowed on the property. 3) Shanti Mandir hosts guests from all around the world and has other activities ongoing at the ashram. Shanti Mandir will work with the workshop staff so that there will be no disruption of the workshop or other ashram activities. 4) All Chhandaya Tabla Ashram/workshop 2019 attendees and the Chhandayan shall hold Shanti Mandir harmless and shall indemnify Shanti Mandir from any liability, loss or injury to person or property or action resulting from any intentional or negligent act on the part of a workshop attendee or the Chhandayan in connection with the workshop or while in residence at Shanti Mandir Ashram. 5) Any damage to the property of Shanti Mandir, equipment shall be reimbursed by Chhandayan. 6) Any accommodations or meals before or after these periods are payable to Shanti Mandir according to the rate of the room and meals. Registration form can be downloaded using the button below and mailed to Chhandayan, 4 West 43rd Street, #616, New York, NY 10036 with the check made out to Chhandayan. One may also avail of the online payment options (a 3% surcharge is applied to cover Paypal fees) and email the registration form to classes@tabla.org. Born and raised in Portland, OR, Kishan has been learning music since he was 6 years old. 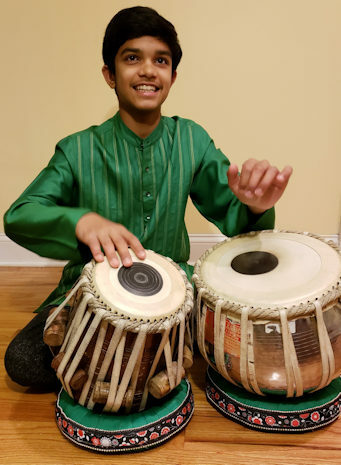 He received his initial training under Portland’s Dr. Nisha Joshi, who trained him in not just Hindustani Vocal and Bhajans, but also taught him to play Tabla, Harmonium, and Sitar as well. After studying with Dr. Nisha Joshi for about 12 years, he began studying under the tutelage of his current guru, Shri Arijit Mahalanabis. After his first year of college, Kishan took a break to pursue his passion further. He moved in with his guru, and began training in the Gurukul system. During this time, Kishan has been training to learn the intricacies of Hindustani music through the intensive training of various genres of Hindustani music – Dhrupad/Dhamar, Khayal, Thumri, and Tappa. Under Arijitji’s guidance, Kishan has also been groomed as an accomplished accompanist on Tabla and Harmonium. He has had the fortune of accompanying some of India’s finest musicians including Smt. Aditi Kaikini Upadhya, Sandipan Samajpati, Mitali Banerjee Bhaumik, Samir Chatterjee, Satish Vyas, Arnab Chakrabarty, Ruchira Panda, Ranjani Ramachandran, and many other. Kishan has also had the fortune of training under Gurus Smt. Aditi Kaikini Upadhya, Shri Sachin Pimple, Vidwan Poovalur Srinivasan, and Dr. Lewis Norfleet. 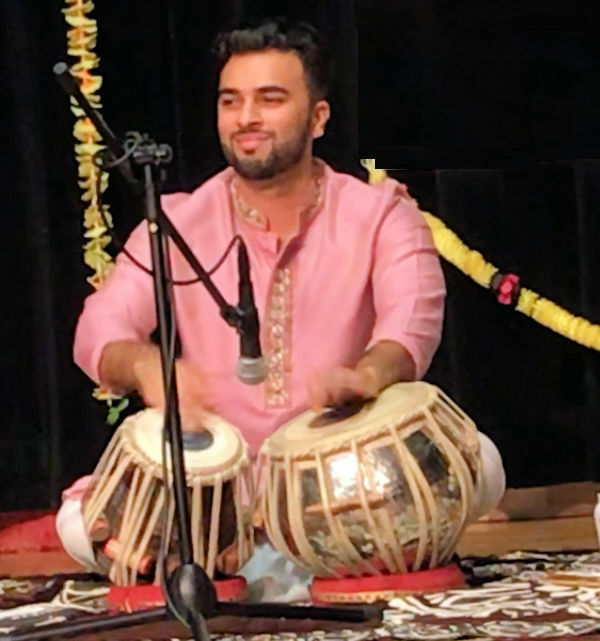 Tejas Tope is an aspiring young Indian percussionist, now 21 years old, who comes from Long Island New York, and is a now a senior at NYU Stern School of Business. Tejas has been learning tabla from Pt. Samir Chatterjee for 15 years. Additionally, since 2011, Tejas has been attending classes in the Summer with Ustad Zakir Hussain. At Zakirji's invitation, Tejas performed a tabla solo at the Barsi of Ustad Alla Rakha on February 3, 2018 at Shanmukhananda Hall in Mumbai. Tejas Tope has been learning Pakhawaj from Pandit Mohan Shyam Sharma for the last 5 years. He has also had the opportunity to study with Pandit Manik Munde and Shri Pratap Awad. At the ages of 7, 12, and 14, with the blessings of his Guru, he participated in one of USA’s highly acclaimed 5th, 10th, and 14th Annual All Night Concerts (May 2004, May 2009, May 2012) held in New York City, organized by Chhandayan (www.tabla.org). In the 2004 and 2009 events he participated in the Tablaphilia ensambles. Tejas accompanied Shri. Samarth Nagarkar on tabla at the 13th All Night Concert held in New York City, organized by Chhandayan in May 2012 and shared the stage with some of the legends in Hindustani Classical music. Tejas received First prize in the instrumental category from 2005-2011 at the annual Vedic Heritage’s Holi Youth Talent Competition held in Hempstead, Long Island, NY. In the summer of 2006, he played at the 6th Marathi European Sammelan in Almelo, Netherlands, at the 13th BMM Convention in Seattle (June 2007), and 15th BMM Convention in Chicago (July 2011). In October 2007, Tejas had his Rangamanch Pravesh and presented tabla solo as a part of Chhandayan Concert Series. Tejas received first prize in the Swardhara Competition held by Marathi Vishwa of New Jersey in 2010 and 2012. Tejas is recipient of Chhandayan’s most prestigious Jyotsna Award in the student category in 2011. At the age of 11, he recorded his compositions in a CD album entitled “Guru-Arpita – A Dedication to Pt. Samir Chatterjee” as a token of his affection, respect, and gratitude to his Guru. The CD album contains fifty-six compositions presented in structured tabla solo format in six taals. A booklet of his compositions accompanies the CD album. In 2011, Tejas was invited to play tabla solo for the fall concert series at the Rocky Point Schools. From the sale of his CDs, he raised and donated over $500 to the Rocky Point Friends of Music. Tejas serves as a volunteer at the All Night Concerts held in NYC each year and has raised funds over $500 from the sale of his CD for Chhandayan. At the annual Crescendo competition held in Atlanta, GA in September 2012 , Tejas won the 1st Prize in the under 15 tabla category. He also won the Mega Finals Round (shared this award with Nisha Kulkarni of Phoenix AZ) at the same competition. Recording and release of a complete CD album by Swarganga was the prize. The album has been recorded in Atlanta, GA, with blessings of Shri Chaitanya Kunte accompanying him on harmonium. In addition to playing tabla solo in various venues in USA and abroad, Tejas has accompanied his Guru Pt. 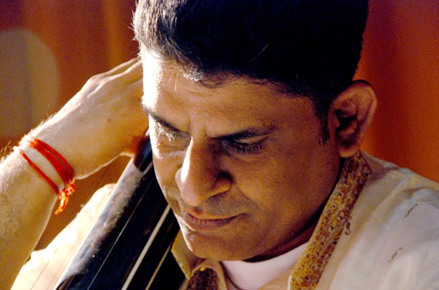 Samir Chatterjee (tabla solo), Pt. 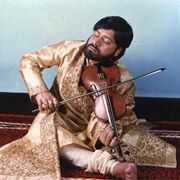 Ramesh Mishra (sarangi), Pt. Steve Gorn (flute), Samarth Nagarkar (vocal), Kunal Gunjal (santoor), Qais Essar (rabab), Padmashree Pt. Satish Vyas (santoor), Padmashree Pta. Rita Ganuli (vocal), Shakir Khan (sitar), Kedar Naphade (harmonium solo), Pta. Lalita Dantale-Kurulkar (vocal), Chaitanya Kunte (harmonium), Manoj Govindraj (vocal), Rucha Muley-Jambhekar (vocal), Paromita Das (vocal), and his sister, Priyanka Topé (vocal, www.priyankatope.com), and several other musicians over the past several years. Tejas attended 2 workshops conducted by Ud. Shahid Parvez in 2012 and 2013. In 2012 and 2013, he was invited by Phoenix Gharana and Swarganga to play tabla solo and accompany all participants in vocal and instrumental categories of all ages in their respective prestigious annual competitions. In 2013 Tejas accompanied students of Shri Manoj Govindraj at Guru Pournima held by AIM School of Music, Edison NJ, and kathak dance students of Guru Archana Joglekar at their rangamancha-pradarshan. Tejas also regularly accompanies accomplished singers in semi-classical and folk vocal and instrumental art forms, such as bhajans, ghazals, thumris, chaitis, laavnis, bhavgeets, natyasangeet, etc. As a part of his self-study, during 2012 and 2013, he has learned several compositions published by Pt. Arvind Mulgoankar in his books, CDs, and DVDs, over 2 year of self-study he has compiled about 1-hour solo using the traditional format of tabla solo, and has recorded it his new album Space Within Beats. With blessings of Pt. 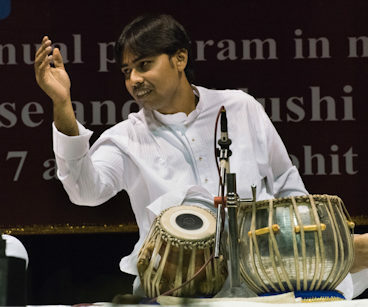 Ramesh Mishra accompanying him on Sarangi, during the summer of 2013, Tejas recorded 2 tabla and pakhawaj solo albums entitled Inner Rhythm and Space Within Beats. He has also recorded a self-composed 10.5-matra taal which he has named “Ardhadhik Dashanan” (half plus 10-headed Ravana). Tejas accompanied Shri Manoj Govindraj in album entitled Swar-Ras (classical vocal), and Baad-E-Naubahaar (Ghazals). He also accompanied Smt. Rucha Muley Jambhekar in album entitled Bhav-Rang. Tickets at the door: $25 (Regular Admission) & $20 (Student with photo ID). 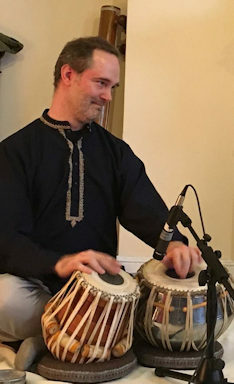 After beginning his musical career as a jazz pianist Andrew Shantz immersed himself in the world of Hindustani - North Indian - classical music in 2008. He currently studies classical vocal (khayal) under Pt. Sanjoy Banerjee of Kirana Gharana and was initiated into Hindustani vocal music in Kolkata, India by his Guruma Smt. Madhumita Saha with whom he studies light-classical music. Andrew also receives special guidance from tabla maestro Pt. Samar Saha. Andrew has received several awards and scholarships including the New Jersey State Council on the Arts Folk Arts Apprenticeship to support his vocal studies. He also took 1st place in the 2017 Swaradhara vocal competition (adult division) held in New Jersey by Marathi Vishwa. Andrew is also a trustee of Suromurchhana USA which, was founded to continue the work of the Kolkata Suromurchhana cultural organization founded in India by Pt. Sanjoy Banerjee to promote the Indian classical arts. Acclaimed as a Sangeet Visharad from Bhatkhande University via Bharatiya Vidya Bhavan (Mumbai), Smt. Deepal Chodhari has been pursuing the santoor since her school years from her guruji, Shri Dineshkumar Sampat (immediate disciple of Pandit Kartik Kumar). With the blessings of her guruji, she pursues the santoor with style evolved out of gayaki (vocal), gatkari (instrumental technique) and layakari (rhythmic improvisation). As guided by the santoor maestro Rahul Sharma, Smt. Deepal is studying the santoor padhiti (style) of the legendary padma-vibhushan santoor maestro, Pandit Shivkumar Sharma with his senior disciple, Dr. Dhananjay Daithankar. She also took training from Shri Dilip Kale. Her raga renderings on the santoor have a consistent clarity of tone & vigor. 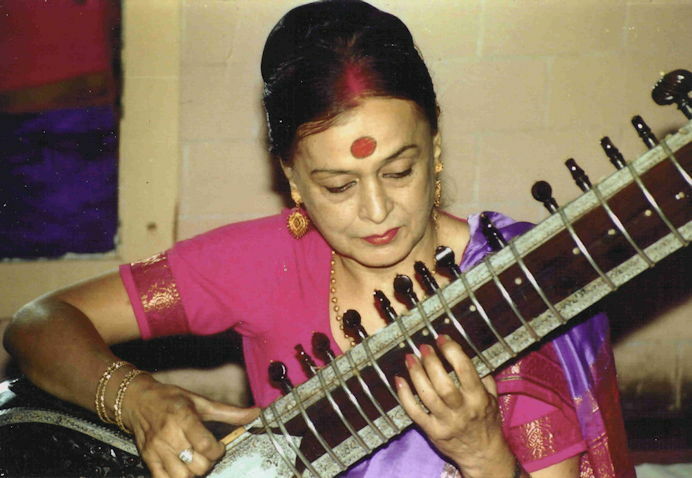 These styles of music compositions have been passed on from her guruji through Maihar gharana. Her solid foundation in Hindustani classical music also brings soulful emotions on the santoor with traditional (raagdari) patterns and compositions. She mastered the intricacies of the santoor in bridge setting, string setting, tuning, and using a combination of strings in the right gauges to bring the best quality of sound. Gifted as a vocalist and an instrumentalist, she underwent vocal training during her Sangeet Visharad from Smt. Shashikala Kaikini at Bhartiya Vidya Bhavan. Smt. Deepal has been honored by State level awards and has been felicitated from several renowned cultural organizations in India and USA. She has attained the New Jersey Folk Art Apprenticeship Award under the guidance of Smt. 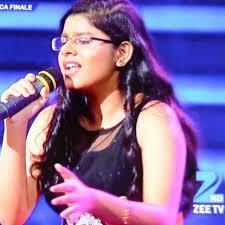 Mitali Bhawmik and has also performed on National Television in India with her Guruji Shri Dinesh Kumar Sampat. Alongwith lecture demonstrations on the santoor, she recently directed an instrumental ensemble with close to 30 instrumentalists, both western and Indian, to create a fusion of an Indian composition. Smt. Deepal has performed successfully at various cultural organizations in India & USA. She is one of the very few santoor performers in the tri-state area preserving the rich cultural heritage of the oldest instrument of India- the santoor. Please visit www.100strings.com to learn more about her. Suryaksha Deshpande started showing early signs of musical acumen right from his childhood and was fortunate enough to receive tremendous encouragement from his parents who share intellectual & musical background as well as keen interest in artistic endeavors, thus started his tuneful journey that spans 25 years of rigorous Tabla training, from a curious student to a passionate professional. He became an integral part of rich tradition and precious legacy of Farukhabad Gharana through training and valuable guidance from Pt. Arvind Mulgaonkar a respected scholar and senior disciple of the highly revered and legendary Ustad Amir Hussian Khan Saheb. Precise training and meticulous efforts started bearing fruits of success with outstanding achievements in numerous and prestigious Tabla competitions held across the states. Defying the expectation of academic accomplishments Suryaksha secured First Rank with Masters in Tabla surpassing all the students across India. The graph of progress kept climbing with him being awarded the Prestigious National Scholarship and Fellowship for Junior Artiste from Dep. of Culture; Govt. Of India. The next step was to prove his professional prowess across both genres of Tabla that is Solo and Accompaniments. Suryaksha soon became a well-known artiste and one of the favorite accompanists among the senior artists. He went on to deliver fabulous performances with veterans of Indian Classical Music Vocalists & Instrumentalist such as Padmabhushan Dr. N. Rajam, Padmashree Pt. Ulhas Kashalkar,Smt. Arati Ankalikar-Tikekar, Pt. Satish Vyas & Smt. Ashwini Bhide-Deshpande to name a few. 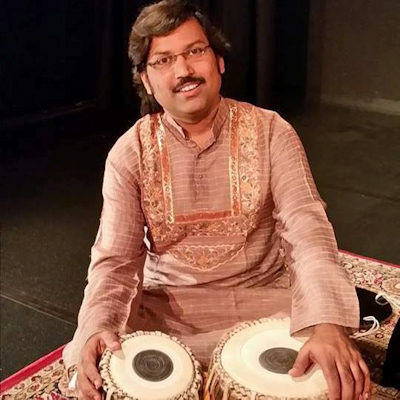 Through research and experimentation, Suryaksha has developed a unique style with fine blend of Traditional Language oriented Tabla of Farukhabad Gharana & expansion process of Delhi Gharana interspersed with influence of Laghu. Observant, subtle for balanced accompaniment to instrumental as well as vocal music can be counted amongst his specialties. Suryaksha's voyage from being a devoted student to dedicated artiste inspired him to impart the knowledge of his art Tabla to diligent students paved the way in for his latest venture Anubhooti School of Indian Classical Music at New Jersey, United States. Rohan Misra is a young promising musician, specialized in the unique Indian bowed instrument called the Sarangi. As the son and disciple of great Sarangi virtuoso Pandit Ramesh Misra, Rohan has inherited many of his father-Guru’s specialties, including tonal quality and aesthetic approach. Rohan Started learning the Sarangi (translation: An instrument with a hundred colors) from his father at the age of six. His exposure to music since early childhood attracted him to learn other Indian instruments as well. He has been learning Tabla from the renowned maestro Samir Chatterjee. Rohan is also pursuing his education in western music, particularly focused on the Piano and Clarinet. Coming out of the family of nine generations of Sarangi players, Rohan aspires to be successful as the 10th generation in his lineage. He also wishes to further his musicality by blending certain aspects of western music into his emblem of Indian classical music and emerge with a unique musical expression. Dibyarka Chatterjee is a young Tabla player from the Farrukhabad Gharana, and is the son and disciple of Pt. Samir Chatterjee. Having grown up in a musical environment, his natural inclination towards Tabla became apparent early in his childhood. At the age of five he was initiated by his father into the ancient system of pedagogy called the guru-shishya parampara (master-disciple tradition). Dibyarka was born in Kolkata, where even in his childhood he was already performing in concerts as well as on Akaashbani Kolkata's Children's Section (National Radio - Kolkata Station). At the age of ten he moved to New York City with his family; since then he has continued to perform regularly with both Indian and Western music. Dibyarka has had the honor and privilege of performing with renowned musicians like Pandit Jasraj, Pdt. Budhhadev DasGupta, Pta. Lakshmi Shankar, Utd. Shujaat Khan, Pta. Joya Biswas, Utd. Mashkoor Ali Khan, Pdt. Ramesh Mishra, Pta. Shubhra Guha, Pta. Tripti Mukherjee, Pdt. Suman Ghosh to name only a few. 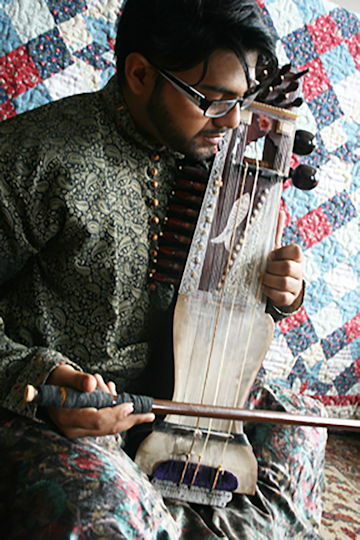 He has collaborated in world music projects with groups like the Dance Theater of Harlem (in 'South African Suite'), the Battery Dance Co. (in “Songs of Tagore”), and with fusion musician/composers like Salman Ahmad (Junoon), Douglas Cuomo, John McDowell (on the award-winning documentary “A Son’s Sacrifice”), Gary Lucas & Najma Akhtar (on their collaborative album "Rishte") etc. He has composed music for, and performed in, two off-Broadway theatrical productions (Nuraldeen's Lifetime & Lee/gendary). He has also performed in many prestigious venues like Carnegie Hall, the United Nations General Assembly, Lincoln Center & Asia Society in NYC, Place des Arts (Montreal), the Google Amphitheater (Palo Alto), Salt Lake Music Conference (Kolkata, India), Pratishruti Festival (Bhopal, India) etc. He has also appeared on numerous radio shows such as The Leonard Lopate Show and New Sounds on NPR, Raag Aur Taal on WKCR etc. Dibyarka has a Masters in Fine Arts from Goddard College (VT). His academic pursuits are mainly focused on the history, theory, and philosophy of Indian Music. As a guest lecturer, Dibyarka has conducted classes and lecture demonstrations at numerous institutions such as Columbia University, Dartmouth College, New York University, Manhattan School of Music etc. 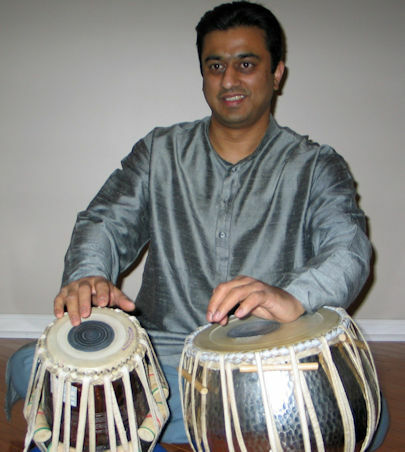 He also teaches Tabla classes regularly at various institutions and locations in NY & NJ. Pre-purchased ticket sales are no longer available. However, you may purchase tickets at the door, they are $25 for regular tickets and $20 for student tickets. Rikhi Ram family of luthiers s?tarted playing the Sitar at the age of 10. Rishab's father, master luthier Sanjay Sharma (Rikhi Ram), was his first Guru. After showing great commitment to his instrument Rishab was introduced first time on stage in the year 2011 by his father. Impressed by his performance Sitar Maestro Pt. Ravi Shankar, blessed him by taking him under his guidance, Rishab became Raviji’s youngest disciple. After Pt. Ravi Shankar’s unfortunate demise, Rishab continued his Sitar training under Pt. Parimal Sadaphal, who is one of the most senior disciples of Pt. Ravi Shankar. Rishab has learned from great maestros such as Ustad Amjad Ali Khan, Ustad Rais Khan, Pt. Arun Bharatram and more. Rishab incorporates modern music elements into his classical training. Ke Liye Kuch Bhi Karega’, ‘Hindustan Ke Hunarbaaz’, NDTV, Aaj Tak, DoorDarshan India and many more. 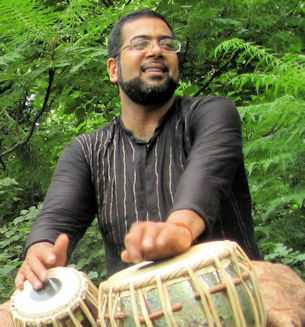 Sameer Gupta is known as one of the few percussionists simultaneously representing the traditions of American jazz on drumset, and Indian classical music on tabla. He completed his Jazz studies and began his Indian Classical learning from his peers and on stage in San Francisco and Oakland as well as now Harlem and Brooklyn. His own interests and love of tabla brought him up through several local tabla teachers in Delhi and San Rafael, ultimately to the great maestro Pt Anindo Chatterjee, of whom he is now a dedicated disciple. Today he lives in Brooklyn, NYC and is actively involved in performing, curating, producing and teaching through various institutions including Brooklyn Raga Massive, Ragas Live Festival, Outside (In)dia and much more. Gupta continues to build his career by combining traditional and modern improvisational styles drawing from his dual Indian and American heritage, and has already established himself as an original musical voice in music today. From bebop to avant-garde jazz, and European classical percussion to North Indian classical tabla. Gupta continues to compose and perform music from a true multi-cultural perspective that now bridges several continents. Ehren Hanson is professional NYC based Tabla player, director of the Anindo Chatterjee School of Tabla, and the CEO and founder of Viewcy.com. He began learning tabla at age 15 under Misha Masud in New York City. In 2000, he became a disciple of Pandit Anindo Chatterjee. Ehren went on to teach rhythm as an assistant professor at Bard College in 2002, and in 2005 he received the Senior Performing Arts Fellowship from the American Institute of Indian Studies. He has accompanied great musicians including Pandit Debi Prasad Chatterjee, Pandit Subrata Roy Chaudhuri and Steve Gorn. Ehren is the director of the Anindo Chatterjee School of Tabla in Brooklyn, NY, and is an active performer and teacher. Rahul Thandla is a promising young vocalist who has been training under Mrs. Mamta Bhargava in the Agra Gharana style from the tender age of 4 years. Over the past seven years, he has trained under Pandit Nagaraj Rao Havaldar of Bangalore, India to learn the nuances of the Kirana Gharana style. After his first solo concert ten years ago, Rahul has performed several times in Buffalo, Rochester, the U.K., and India. His first professional CD album was recorded and released in July 2014. As a result of his steady commitment throughout his high school, college, and medical school years, Rahul has made a mark in the field of Hindustani classical music. He holds a Bachelor of Arts in Western Music (Vocal Performance) as well as a Bachelor of Science in Biology from SUNY Geneseo. He is currently in his last year of medical school at SUNY Upstate Medical University in Syracuse, NY. 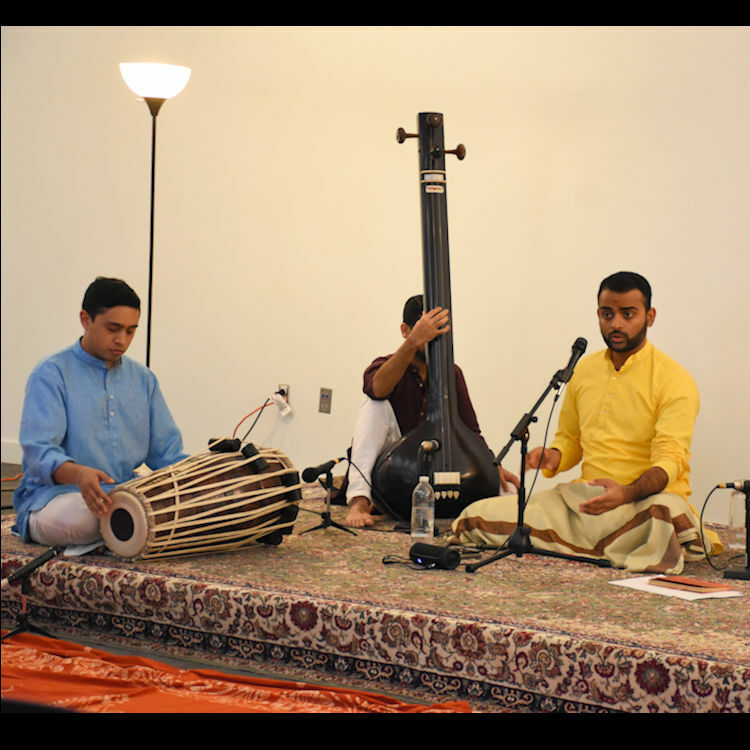 Although he will be starting residency training in anesthesiology this upcoming July, Rahul intends to pursue Hindustani classical music to the fullest extent possible. Rohan has been actively studying music for the past 18 years. He began his training in Indian Hindustani classical music on the harmonium on one of his trips to India at the Goa Kala Academy. Later, he continued this musical pursuit under the guidance of Dr. Kedar Naphade, a senior disciple of Pt. Tulsidas Borkar. At the same time he started learning harmonium, he studied classical piano with Mr. Edwin Lopez, the concert master and conductor of Crescent Avenue Presbyterian church music program. He has studied classical contemporary composition at NYU Steinhardt and Charles University in Prague, Czech Republic. Sarangdev Vaidya started playing Tabla naturally when he was 4 years old. He received early training from his father Mahesh Vaidya, a great Vocalist and Tabla player. At the age of twelve he started learning from Pandit K. Paramjyoti, a prominent student of Ustad Amir Hussain Khansaheb. For the past 5 years he has been learning from Shri Suryaksha Deshpande, a foremost student of the late Pandit Arvind Mulgaonkar. He currently attends Rutgers New Jersey Medical School and is pursuing a career in ophthalmology. This concert will be streamed live. Kinaar Kumar Seen is the eldest son of the well-known musical authority Ustad Lachhman Singh Seen of the Punjab Gharana. He started learning music from his father at an early age in the traditional style of Punjab Gharana. Kinaar completed a Master’s degree in music with a Sitar major and was awarded gold medals for his proficiencies in Sangeet Visharad examinations in both tabla and vocal music. Kinaar Seen gave his first solo performance at the age of fourteen. Since then he has been performing in major music festivals all over the world including the famous Harvallabh Sangeet Sammelan in India in 1979 and 1980. He has had numerous performances all over the United States, Canada, Europe, Africa and the West Indies. Kinaarji has performed at the Festival of Asila in Morocco by invitation from the governor and represented India in Jamaica and Trinidad, being invited by the governors of those countries as well. 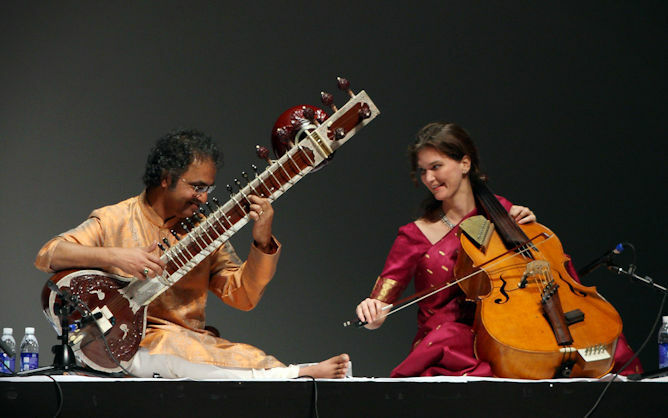 He performed for the Virasat foundation in Canada and was honored with the Award of Indian Classical Music for 2002. Kinaar Seen played with the Beatles Magical Orchestra in 2005 conducted by David Amram and performed at the residence of John Lennon on his request. Princeton University produced an album with Kinaar Seen under the name of John Lippicote & Friends. 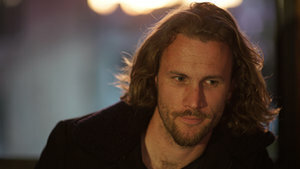 He also scored music for Peter Seal’s album Type O Negative. His performance at the Festival of Sacred Music in New York along with Samir Chatterjee has been recorded and is awaiting release. Kinaar Seen has given numerous lectures and demonstrations at prestigious institutions such as Harvard University, Princeton University, Brown University, State University of New York in Stony Brook and the Julliard School of Music. He is recipient of several prestigious awards and recognitions in India and abroad. Famous painter S. Sobba Singh honored him at Guru Nanak Dev university of Amritsar for his artistry. He has been reviewed and featured in New York Newsday, India Tribune, The Times Herald and many other newspapers. Most notably, The New York Times named him as “a leading artist of India”. Kinaar Seen opened a branch of Sangeet Vilas, Kinaar School of Music with his wife Payal, an expert vocalist, in 1986. As a family, they collectively pass on their knowledge to many students in the Metropolitan-New York and Tri-state areas in a traditional Guru-shishya form. Samir Chatterjee lives in the New York-New Jersey area, and has been a catalyst in the fusion of Indian and Non-Indian music, in his own creations and others as well. He performs with Pauline Oliveros, William Parker, Branford Marsalis, Ravi Coltrane, Joshua Bell, Yoko Ono Lenon, David Liebman, Oliver Lake, Dave Douglas, Ned Rothenberg, Mark Dresser, Mark Feldman, Jerome Harris, Eric Friedlander, Steve Gorn, Glen Velez, Boby Sanabria, Jin Hi Kim, Min Xiao-Fen, Dance Theater of Harlem, Boston Philharmonic, Minnesota Orchestra, Ethos Percussion group, Da Capo Chamber Orchestra, Boston Musica Viva and other jazz, classical and avant guard musicians and ensembles. He also collaborates with Sufi-Rock singer Salman Ahmad of Junoon from Pakistan. He is the composer and director of Indo-Flame – a blend of Indian and Flamenco dance and music, Chhand-Anand - a world percussion ensemble, RabiThakur – a ballet on the life of Tagore, Meghadootam – a feature program of music and dance on an ancient Indian poem, and Dawn to Dusk and Beyond – on the effect of music on humans and nature. He performs with Sanjay Mishra on his CD "Blue Incantation" featuring Jerry Garcia as guest artist. Joya Biswas is one of the best and most acclaimed Sitar players of India. She has been performing for over four decades widely acknowledged for her brilliance as a musician. She has represented India in many prestigious occasions within the country and abroad. She is popularly known as ‘The First Lady of Sitar’. This is because the instrument she plays is mostly represented by men. And as one of the very few women in the field she has created her own niche through her outstanding caliber placing her on the same or even higher level than many of India’s greatest musicians. She hails from a very cultural family of Calcutta. She completed her academic pursuit in History, Journalism and Economics. Joya was married to an Indian nuclear scientist of high repute and she is also mother of a son of equally talented. Joya’s formation as a Sitar player occurred under the guidance of the legendary maestro Pandit Ravi Shankar, with whom she studied for several years. This way she represents the famous Maihar gharana initiated by Baba Alauddin Khan. As an A-Top grade artiste of the National Radio of India Joya Biswas has held positions in the advisory committee of many high level Indian cultural institutions and organizations. Her lectures on different aspects of Indian music have been very well-received at many universities and colleges. Joya has also held the position of a Chairperson and Head of Faculty at the Indian Music School in Calcutta for several years. She has been a member of the Indian National Commission for Cooperation with UNESCO. She is also an Executive Member of the West Bengal State Academy of Music in India. The beauty of Joya. Biswas’ music lies in the aesthetic presentation of the authentic. With her deep and profound understanding of the ragas and tala systems she has developed a style of her own, sweet and melodious concealing her extraordinary skill. She devotes herself to bring out the Rasa and Bhava (emotion and mood) of each presentation with all sincerity, and that is what has taken her music to such a height. Rajyasree Ghosh is a very talented vocalist of her generation in the field of Indian Classical Music. She is equally proficient in both classical and semi-classical music, which includes Thumri, Dadra, Bhajan, Tappa and Puratani songs etc.. Born in 1962, Rajyasree started her training at a very early age. Since then her career in music has been glorious journey. She emerged as a gold medalist both in her B.A and M.A exams in classical music (Khayal) from the Rabindra Bharati University. She also received National Scholarship from the Ministry of Human Resources Development of Govt. of India in 1986 to study under Pandit Amiya Ranjan Banerjee. She was a Scholar at the Sangeet Research Academy, where she studied music under the guidance of Smt. Girija Devi and Pandit Arun Bhaduri and Pandit K.G. Ginde. She took her talim in Nazrulgeeti from Smt. Suprava Sarkar and she is still learning Bengali Tappa, Puratani etc from Shri Ramkumar Chatterjee. Rajyasree Ghosh has performed and won laurels in several prestigious music conferences in India. She was placed first place for three consecutive years (1984-1986) in the Dover Lane Music Competition in Khayal, Ragpradhan and Bhajan. She features regularly on the national radio and television of India and is holds the position of lecturer at Rabindra Bharati University, Kolkata. In the year 2000, she went to Muscat, Oman at the invitation of Bangiya Parishad and performed several music programs. She has been regularly visiting the USA and performing in several cities like Kansas City, San Francisco, Columbus, Dayton, Boston, Houston and Cincinnati which were highly appreciated by the Indian and non-Indian alike. Gifted with a powerful and melodious voice, Rajyasree has developed a style characterized by riveting Bandishes, reposeful Alaps and rigorous bol-taans. Her music has a special romantic flavor emerging out of her powerful yet tender approach. Her creativity makes her music a sheer listening pleasure. Guitarist Xander Naylor is exploding onto the scene with his work as a solo artist, composer and leader of Xander Naylor Sound Machine. Spinning through a diverse set of scenes, he has found homes in free improv, indie rock, experimental jazz and, through his years of study with tabla maestro Samir Chatterjee, North Indian music. His latest solo album, Arc, creates a stimulating mash-up that is both startling and comforting in today's tumultuous world. The Xander Naylor Sound Machine, built of guitar, sax, bass, and drum, employs modern technique in revolutionizing jazz and post-rock grooves. Naylor’s work uses myriad rhythmic influences that are threaded throughout to solidly bond the machine’s language of sound. Executed by an all-star group of musicians who perform all over the world, XNSM supplies a power surge of cohesive sound, allowing you to live fully in the moment and embrace what is possible. Look out for Naylor's long awaited album, Transmission, featuring Samir Chatterjee, Dan Weiss, Mat Muntz, Elijah Shiffer, Astrid Kuljanic, and Sharik Hassan. Tejas Tope has been studying with his Guru, Pandit Samir Chatterjee, since the age of 5. He has performed on many occasions across the country, and just last year completed a tour in India. He has also trained with Ustad Zakir Hussain, and studied Pakhawaj with Pandit Mohan Shyam Sharma. Tejas is a Senior at the NYU Stern School of Business, studying finance and accounting. Shankhadip Chakraborty is an 18 year old rising freshman at Rutgers University - New Brunswick. He has been learning Hindustani classical vocal music from Smt Mitali Bhawmik for the past eight and a half years. He has won several accolades in Indian classical music, including the Chhandayan Jyotsna award for best student of Indian classical music in 2014 and a vocal music award from the Sangeet Jagat Music institute in New York in 2016. He is also a member of the South Brunswick Township Council Arts Commission since September of 2017 and enjoys following the news, politics, and a variety of sports. Todd Miller grew up in New York City and hails from a musical family. His musical background started with piano and extending to guitar, bass, percussion, drum set, and tabla. Todd has been a student of Pt. Samir Chatterjee since 2003 and lives in New York City. 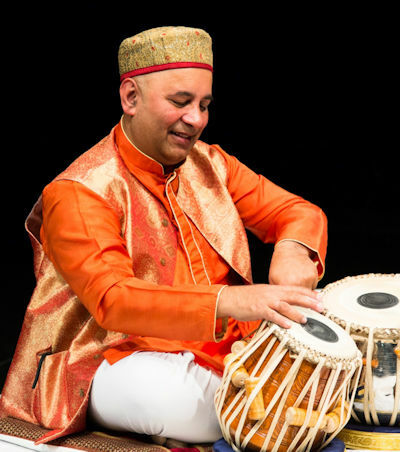 He has performed with the Chhandayan Tabla ensemble in performances of “Tablaphilia” at the Metropolitan Museum of Art in NYC, and in Pittsburgh, New Jersey, and at the Chhandayan Center for Indian Music. He has also performed on bass with the Chhandayan Jazz ensemble in Toronto, and at the Chhandayan Center for Indian Music. Todd is a member of the Chhandayan Faculty in Tabla since 2015 and enjoys teaching students of all ages. Todd has recently been initiated as a disciple of Pt. 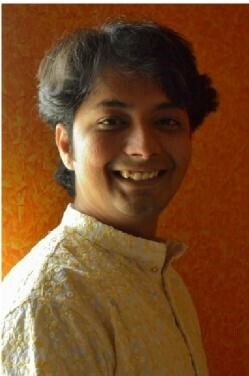 Samir Chatterjee in 2016, and is continuing his studies and musical development. Todd is also a live sound and recording engineer. As such he has been involved for several years in Chhandayan’s live sound for concerts, and documentation, in New York, New Jersey, and Toronto. He has several CD and DVD’s to his production credit in recording, mixing & mastering Indian classical music. 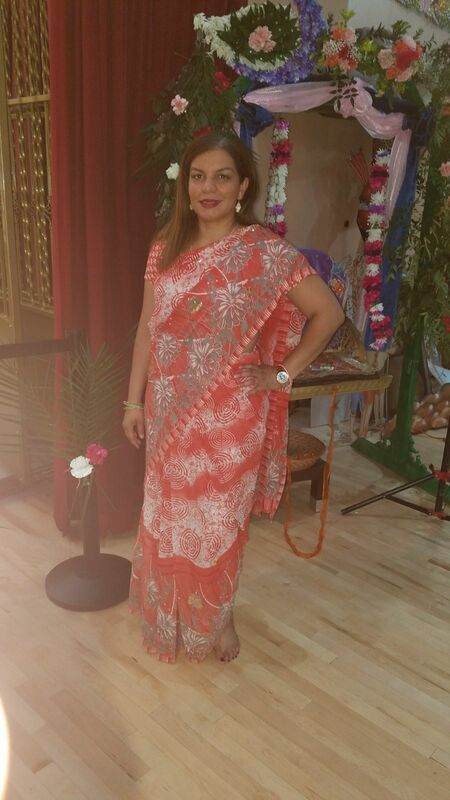 Todd has also done live sound and production work for Sangeet Sabha productions in the NYC area. He has worked with artists such as Pt. Vidyadhar Vyas, The Gundecha Bros., Pt. Nayan Ghosh, Utd. Shujaat Khan, Pt. Ragunath Seth, Pt. Debashish Bhattacharya, Pt. Kedar Nephade, Smt. Mitali Banjerjee Bhaumik, Pt. Samir Chatterjee, Pt. Anindo Chatterjee, Pt. Swapan Chaudhuri, and others. Vocal ensemble directed by Sanghamitra Chatterjee, featuring Meghan Pasricha, Sharda Lowtan, Susan Maxwell, Sofia Ahmed, Aishani Singh and Noelina Arciniegas. Guitar Accompaniment by Xander Naylor. Aratrika was born to music-loving parents who nurtured her interest from an early age. She began her training in Kolkata with Srimati Sukla Nag. Since moving to New Jersey with her parents, Aratrika has continued under the tutelage of Srimati Mitali Banerjee Bhawmik. She has won first place in several music competitions, the most notable of which is the prestigious “SaReGaMaPa Li’l Champs, NA, 2015”, hosted by the South-Asian television channel Zee TV. Born in a highly enriched musical family of Kolkata, Kalyanjit is one of the brightest young sitarists in the field of Indian Classical Music. His music primarily signifies the ‘Senia Maihar Gharana’ style of playing. Maintaining the true heritage of Hindustani Classical Music, his aesthetical approach along with resonant power and delicate intricacies with the rhythm naturally captivate the listener. Kalyanjit represents the fourth generation of his family as a Musician. His great-grandfather Late Shri Bimal Chandra Das was an ‘Esraj’ player. His grandfather Late Shri Sailen Das learnt Sitar from Late Pt.Laxman Bhattacharya of the ‘Bishnupur Gharana’ and then from Late Pt.Ravi Shankar. His father, one of the greatest Sitar maestros across the globe, Pt.Kushal Das learnt from Late Shri Sailen Das, Shri Santanu Das (Pt. Das’s Uncle), Pt. Sanjoy Banerjee, Late Pt.Ajoy Sinha Roy, Late Pt. Manas Chakraborty and Late Pt. Ramkrishna Basu. Kalyanjit’s maternal grandfather Late Shri Jugal Kishore Sarkar was an established tabla maestro, one of the senior students of Late Ud. Keramatullah Khan. Kalyanjit started learning the sitar at the age of three under the guidance of his father Pt.Kushal Das, and continues his rigorous and intensive talim under him. 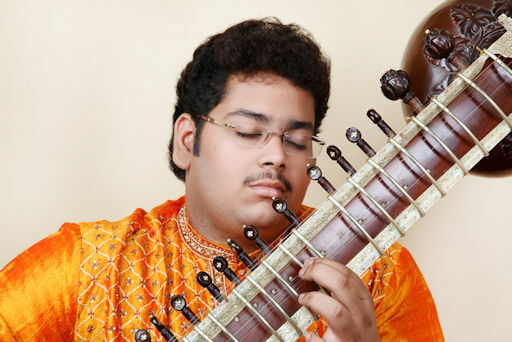 Kalyanjit also receives training in advance sitar techniques and art of music-making from Pt.Sanjoy Bandopadhyay. His mother Smt. Sujata Das initiated him in vocal training at a young age and now he also receives guidance from Ud.Rashid Khan as well. He is cared about the different Talas, Layas & their variations by Sri Biplab Bhattacharya, Pt.Subhankar Banerjee, & the famous Tabla Wizard Pt.Shankar Ghosh. Kalyanjit has been fortunate to perform with eminent Tabla maestros Pt.Swapan Choudhury, Pt.Kumar Bose, Pt.Arup Chatterjee, Pt. Subhankar Banerjee, Pt.Parimal Chakraborty, Pt.Abhijit Banerjee and has a private album “ETHNIC...A Tribute to Pt. Ravi Shankar” with Pt. Kumar Bose. Kalyanjit stood 1st in the All India Radio Music Competition in 2013 and was invited to perform at NCPA(Mumbai) & was honoured the "Ravi Koppikar Memorial Award" by The International Foundation for Fine Arts. He is a "B-High" musician of All India Radio & Doordarshan. He has received the prestigious Jnana Pravaha Scholarship in 2012. In 2014, Kalyanjit received the National (Senior) Scholarship from the Ministry of Culture, Govt. of India. Kalyanjit has toured extensively in France, Germany, Netherlands, Switzerland, UK and USA. 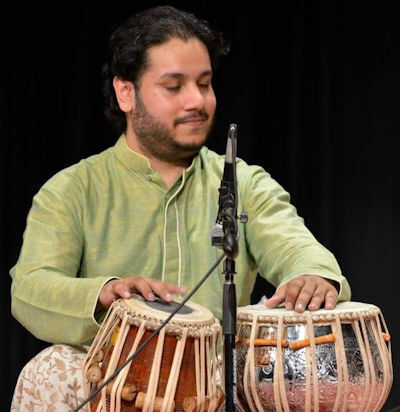 Monir has established himself as a dynamic tabla performer both as a solo and as an able accompanist with numerous prestigious performances to his credit. He was born in a musical family, son of ustad Hafiz Hossain and grandson of late ustad Kader Bux of Murshidabad, West Bengal. He is a senior disciple of Tabla Maestro Pandit Samar Saha. Some of his notable performances are with Sarod Maestro Pt. Budhadev Das Gupta, Legendary (Late) Ustad Villayet Khan, Pandit Hariprasad Chaurasia, Pt. Budhaditya Mukherjee, Pandit Debashish Bhattacharya, Lakshmi Shankar, Ustad Fateh Ali khan, Pandit Rajiv Taranath, recently with sitar Maestro Ustad Shahid Parvez and numerous other musicians. Some of the major vanues include the Simthsonian Institution, Washington Conservatory of Music (WCM), Toranto Public Library, Colombia University, University of Alabama, Statson University, University of Maryland (UMBC) and numerous other prestigious venues. Monir also performed tabla solo in Berhampore, West Bengal, India on the occassion of his Grandfather (Late) Ustad Kader Buksh's birthday. Some of the noteworthy vocal performers from Pakistan and Bangladesh that he has performed with include Pakistan's Pop sensation Alamgir, Shahanaj Rahmatullah, Sabiha Mahboob and Fatema Tuz-zuhrah among many others. This Masterclass will be focused on the common aspects of rhythm applied in music and dance. It will be conducted by Samir Chatterjee, President and Head of Percussion Faculty of Chhandayan. He is also currently on the faculty at the University of Pittsburgh, New School for Jazz and Contemporary Music and Manhattan School of Music and has taught at several reputed institutions worldwide for over four decades. In his illustrious career as a performer, teacher and scholar he has gained invaluable insight into the practical, philosophical and spiritual possibilities embedded in music. Samir Chatterjee gave detailed and forceful Tabla Lahara (solo) in ‘Jahamptal’. The crispness and clarity of his ‘bol’s and balanced synchronization of ‘Tabla’ (the right- hand drum) and ‘Bayan’ (the left-hand drum) made his recital quite enjoyable. – The Statesman, Calcutta, 08/29/87. Displaying consummate control and perfection, the artiste (Samir Chatterjee) enthralled the listeners with a very traditional and systematic exposition of ‘Jhamptaal’. Some of the ‘Quidas’ and ‘Tukre’ (types of compositions) were delectable for their intricacy and close finishing. –The Telegraph, Calcutta, September, 1987. The glory of the program's first half was Samir Chatterjee's "Rite Rhythm," composed last year for Ethos and Eric Phinney, who is currently studying with the distinguished Indian Tabla player. The work features percussion from all over the world, including Africa, Asia, the Middle East, and America. ... The work had all four players participate in a complex rhythmic dialogue that remained miraculously comprehensive. One of the best-known and undoubtedly one of the busiest Sarode maestros of the world, Pandit Tejendra Narayan Majumdar, has long achieved that order of excellence and universal acclaim, which ensures him to be one of the foremost icons of Indian Classical Music throughout the globe. Early initiation into music by his grandfather, Late Bibhuti Ranjan Majumdar and later his father, Late Ranjan Majumdar, nurtured Tejendra's considerable talent. Tejendra was accepted by the Sarod Maestro Late Ustad Bahadur Khan as his disciple. Vocal and rhythm training under Late Pandit Amaresh Chowdhury and Sri Anil Palit further ensured a holistic musical development in him. Eighteen years of intensive study under Late Ustad Bahadur Khan matured his talent into a true genius. After the untimely demise of his guru, he studied under Late Sri Ajay Sinha Roy. He was then accepted as a disciple by none other than Late Swara Samrat Ustad Ali Akbar Khan. He continued to learn from the Legend until his demise. Recognition came as early as in 1981, when he stood first in the All India Radio Music Competition and was awarded the President's Gold Medal and the Pandit D.V. Paluskar Award. Thenceforth, he did not have to look backwards and has performed and gained recognition in 4 continents. Quite obviously, he is also a Top Grade artist of A.I.R and Doordarshan. This year, the Government of West Bengal has awarded him Banga Bhushan as well as Sangeet Mahasamman, the highest award for music in West Bengal. One of the best equipped musicians to carry on the great Senia Maihar mantle, Tejendra combines the intellectual density and technical virtuosity of his gharana, with an extraordinary tone, touch and an ambient melody which transcends any qualification. Tejendra's repertoire combines elements from the Dhrupad, Tantrakari as well as Gayaki styles of music. Above all, he has, in abundant measure, that indescribable ability to take the listeners along with him - the rare quality that is the hallmark of a genius. Most of his time is, however, taken up in touring the country and abroad, presenting innumerable concerts, workshops, lecture demonstrations, doing recordings and taking up teaching assignments. In 2009, he was invited by none other than Bharat Ratna Late Pandit Ravi Shankar to perform at the Hollywood Bowl, Hollywood, Los Angeles, USA. Pandit Tejendra Narayan Majumdar has been accompanied by a wide range of Tabla maestros right from Pandit Kishen Maharaj, Ustad Zakir Hussain, Pandit Shankar Ghosh, Pandit Swapan Chaudhuri, Pandit Kumar Bose, Pandit Anindo Chatterje, Pandit Sanjay Mukherjee, Ustad Sabir Khan to Pandit Subhankar Banerjee, Pandit Yogesh Samsi, Pandit Bickram Ghosh and Pandit Tanmoy Bose. His trio and duet renditions with Vocal maestros Ustad Rashid Khan and Pandit Ajoy Chakraborty, his duet renditions with Sitar maestros such as Ustad Shahid Pervez, Ustad Shujaat Hussain Khan, Pandit Kushal Das have been widely acclaimed and are highly appreciated throughout the globe. He has not stopped himself from collaborating with Carnatic maestros like Dr. M. Balamuralikrishna, Ganesh Rajagopalan, Mysore Manjunath, N. Ravikiran and Shashank Subramanyam. Pandit Tejendra Narayan Majumdar is also well known for his World Music endeavours. He has collaborated to present World Music with names such as Sivamani, Trilok Gurtu, Louis Banks, George Brooks and Ganesh Rajagopalan. Pandit Tejendra Narayan Majumdar's brilliance and popularity as a classical artiste has not dimmed his interest in composing, arranging and experimenting in other areas of music. From composing the background score of meaningful films to musical ballets - Tejendra is always ready to take on any musical challenge. He has composed the music for Bengali films like ‘Sajarur Kaata’, ‘Shongshoy’ and ‘Hononkal’ of Saibal Mitra, ‘Tollylights’ of Arjun Chakraborty, and a number of Telefilms. He has also composed and arranged music for different singers like Ghulam Ali, Pandit Ajoy Chakraborty, Ustad Rashid Khan, Haimanti Shukla, Arati Mukherjee, etc. One of his composed and arranged music albums “SOUL CALL- OM NAMOH NARAYANAY” had been nominated for the 2010 GRAMMY AWARDS! Manasi Majumdar came from a family with a musical heritage. She started her initial training from her father late Manoranjan Ray Chowdhury who was disciple of Suren Banerjee, who was the maestro musician of Vishnupur Gharana. Later she took lessons from Bijonbala Ghosh Dastidar, Nihar Ranjan Banerjee, Uma De and Late Amaresh Chowdhury. In her teens, she appeared in many prestigious concerts in India , and stood first in Khayal in All India Radio Music Competetion in 1981. Last seven years she has been taking lessons of light classical from Padmabhushan Smt. Girija Devi, the doyen of Benares gharana. She has participated in almost all major music festivals in India. She is a regular broadcaster of Radio and Television. She also did masters in Music from Rabindra Bharati University with 1st class and ranked 1st. Her repertoire in khayal gayaki which comprises the basic elements of Dhrupad and khayal has given her a special position and also got critics' applause. She has been teaching in vocal department in Bengal Music College of University of Calcutta as a senior lecturer, and now she is there as acting Principal. 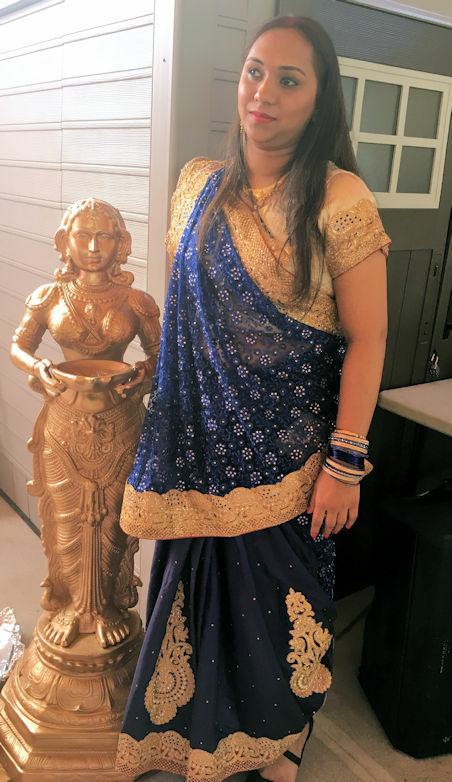 She had participated in various music festivals and concerts in USA and Canada, participated in South Asian studies department of University of Toronto and had got the rare previledge to sing in front of Ustad Ali Akbar Khan, the Greatest Instrumentalist of the World, and got inspirtaion and applause from him in San Rafael, California. Very soon her thumri cd is coming out globally. Dr. Neelesh Nadkarni was initiated into vocal music by Shri Vasant Marathe of Pune in Bahrain, and self-trained on the harmonium under guidance of his mother, Smt. Sucheta Nadkarni. Neelesh then trained under Pandit Sudhakar Deoley in Bahrain, and briefly under Pandit Rambhau Bijapure in Belgaum, Karnataka. 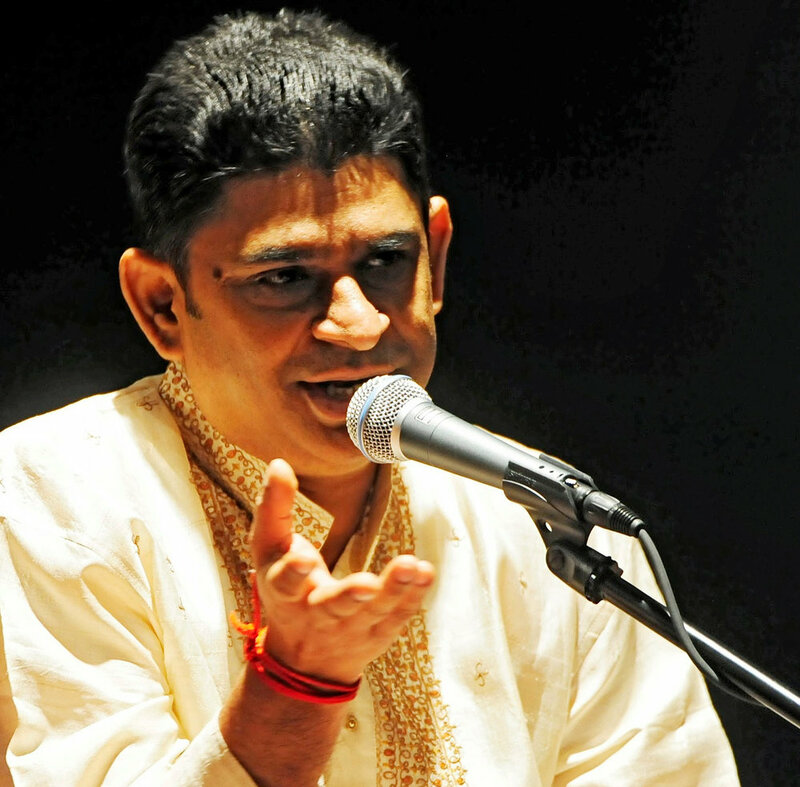 Neelesh has performed on the harmonium and accompanied various artists in Bahrain, India, USA and Canada. Neelesh is a physician and scientist on faculty at UPMC and University of Pittsburgh. Sponsored in part by the Asian Studies Center and the Department of Music, University of Pittsburgh. Mandakini Swain is an accomplished Hindustani classical vocalist. She was born into a musical family, and started learning Hindustani Classical vocal music at the tender age of 7 from her father Pandit A. Maheswar Rao. She continued her training, under the able guidance of acclaimed exponent Vidushi Veena Sahashrabudhe. In addition, she also had the privilege of being trained under gurus like - Pandit J.V.S. Rao of Gwalior Gharana, Pandit Madhup Mudgal in New Delhi and Dr. Vikas Kashalkar of Jaipure Gharana in Pune. Mandakini has been a B-high grade vocal artist of the All India Radio, and is a regular performer on Doordashan TV - the state Broadcaster. She is a well-known artist in Khayal & Devotional songs (in Sanskrit, Hindi, and Odia languages) and has been invited to perform by the Sangeet Natak Akademy, Sahitya Kala Parishad and Kathak Kendra of Delhi and other institutions in india like Bharat Bhawan, Bhopal, Bhubneswar Music Circle, Bhubaneswar etc. She is also regularly associated with the premier music college, Gandharva Mahavidyalaya, New Delhi as examiner. As an accomplished teacher, she devotes valuable time to her disciples in India and abroad to spread classical music. She has held many workshops in Bal Bhawan and schools at New Delhi and other places in India. She was also employed as a vocal teacher in Mahatma Gandhi Institute for cultural cooperation (MGICC), Port of Spain, Trinidad and Tobago on behalf of ICCR (Indian Council for Cultural Relations). Mandakini, has travelled extensively all over the globe including Singapore, Malaysia, Austria, Colombo, South Africa, Mauritius, Muscat, and USA to participate in various prestigious music concerts. She has been performing in USA and Trinidad and Tobago consecutively for last three years. In addition to her performance she has privileged of performing at Rajim Kumbha Mela, Raipur 2018, Chinmaya Mission Washinghton Regional Center USA recently. For her contribution in the Indian musical world, she has been felicitated by many institutions. and also by the wife of former Prime Minister of India during her performance at Indian independence celebrations for audience at the Lt.Governor of Delhi’s residence. In addition to her solo performance she has rendered her melodious voice in many dance compositions, like that of a trio of Odissi, Kathak and Bharatnatyam by Odissi exponent Madhavi Mudgal, Ms. Prerana Shrimali and the young dancer Ms. Rama Vaidyanathan in New Delhi. Besides being professional performer, Mandakini is also a well respected teacher of Indian classical music, both in India and abroad. He has toured in Europe and throughout the Indian subcontinent. Amod Dandawate has been primarily trained in the Farrukhabad style of Tabla playing. He was born and brought up in Hyderabad, India, and later migrated to the USA. He was initiated into Tabla by his father Dr. Vasantrao Dandawate, a disciple of the legendary Maestro Ustad Amir Hussain Khan. He started playing Tabla at a very young age but seriously pursued the art form only after completing his Bachelors degree in Engineering. At that point, he received initial guidance and encouragement from Shafaat Khan while performing as an accompanist and then spent some time taking lessons from Ustad Zakir Hussain. Having settled in New Jersey he has been receiving advanced training, since 2001, as a disciple of Pt. Samir Chatterjee, a well known Maestro of the Farrukhabad gharana. 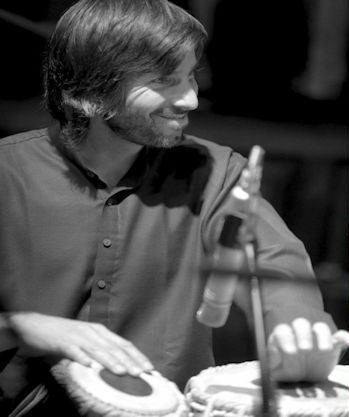 Besides performing solo Tabla, Amod has accompanied several eminent artists and keeps a busy performance schedule. Amod also hold a Ph.D. in Electrical Engineering. 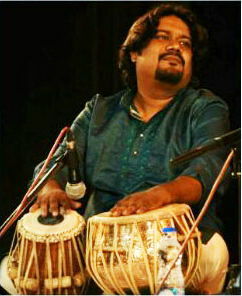 Amit Chatterjee, a highly gifted Tabla player of India, is the nephew, adopted son and disciple of the famous internationally reputed Tabla Maestro Pandit Sankha Chatterjee. Since childhood Amit passed through rigorous training and practice and in the process he became a very special performer of Indian Drum (Tabla) His playing style is a wonderful confluence of Farukkabad Gharana (Ustad Karamatullah Khan) and Punjab Gharana ( Ustad Allarakha Khan). Amit is an empanelled artist of Indian Council of Cultural Relations(ICCR) and was awarded “TAL MANI” Title by “Sur Singar Samsad” (Mumbai), NEW YORK STATE ASSEMBLY AWARD. Being one of the busiest Indian Artist of his generation Amit has traveled throughout India, Europe, and the USA. 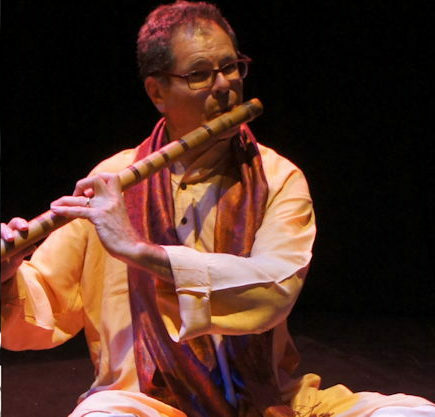 Steve Gorn’s bansuri is featured on the 2011 Grammy winning recording, “Miho – Journey to the Mountain,” with Dhruba Ghosh and the Paul Winter Consort, as well as the Academy Award winning Documentary film, Born into Brothels. He has performed Indian Classical Music and new American Music on the bansuri bamboo flute in concerts and festivals throughout the world. His gurus are the late bansuri master Sri Gour Goswami, of Kolkata, and Pt. Raghunath Seth of Mumbai, who he often accompanied in concert. He has also studied with the late Ustad Z. M. Dagar. He has often performed in India, appearing at Bharat Bhavan in Bhopal, Habitat Center and Triveni Hall in New Delhi, The Sangeet Research Academy in Kolkata, NCPA, and The Nehru Center in Mumbai. 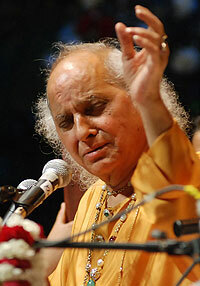 In 2013, he was awarded the Pandit Jasraj Rotary Club of Hyderabad Award for Cross Cultural Achievement. A disciple of Sri Abhiman Kaushal and Pandit Nandkumar Bhatlouande of Hyderabad, India, Miles Shrewsbery is trained in the Farukhabad Gharana of his teachers and is a respected performer of its rich, aesthetic repertoire through his years of dedicated study and practice. 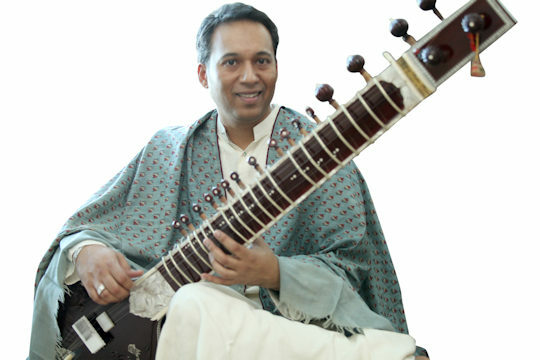 He has performed with top musicians such as Shujaat Khan, Deepak Ram, and Yusef Lateef. In performances all over the world, from the Smithsonian Museum (Washington D.C.), Tokyo Museum of Modern Art (Tokyo, Japan), Royal Horticultural Hall (London, England), to St. Paul Cathedral (New York City). In 2012 Miles was awarded the American Institute of Indian Studies’ Senior Performing Arts Fellowship, which supported Miles to further his studies and practice in New Delhi, India for one year. Currently, Miles manages and teaches at the San Diego Tabla Academy and is an artist-teacher in residence for the Center For World Music in San Diego, CA. Sanjoy Banerjee is one of the finest vocalists of international repute from India and a distinguished exponent of the Kirana Gharana of North Indian Vocal Classical Music. Sanjoyji was a scholar at ITC Sangeet Research Academy under the able guidance of Late Pt. A.T. Kanan and Sangeet Bidushi Late Malabika Kanan, who considered him as their successor to their musical heritage. With his sonorous and unwavering voice he has enthralled audiences at home and abroad, performing extensively in the UK, Germany, Bangladesh, Canada, USA and within India including at Sur Singar, Swai Gandharva, Sangeet Piysi, Ustad Faiz Khan Sangeet Sammelan. He has received many awards and honors including Surmani Award from Sur Sringar Samsad, Mumbai, National Scholarship from Ministry of Human Resource and Development, Government of India and Junior Fellowship from Department of Culture, Govt of India. In addition, Sanjoy Banerjee is a successful Guru teaching at his own institution - Kolkata Suromurchhana in India, and at Chhandayan Center of Indian Music, New York, producing students who have already earned appreciation. Samir is rated ‘A’ as an artiste of Indian national radio and television. He can be heard on numerous recordings featuring as soloist, accompanying many of India's greatest musicians and in collaboration with western musicians of outstanding caliber. 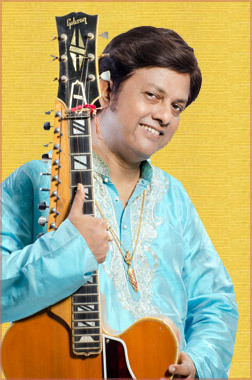 In concert Samir has accompanied many of India's greatest musicians including Pt. Ravi Shankar, Ud. Vilayat Khan, Pt. Bhimsen Joshi, Pt. Jasraj, Pt. Nikhil Banerjee, Pt. V.G. Jog, Pt . Shivkumar Sharma, Pt. Hariprasad Chaurasia, M. S. Gopalakrishnan, Ud. Amjad Ali Khan, Ud. Salamat Ali Khan, Smt. Lakshmi Shankar, Ud. Aashis Khan, Dr. L. Subramanium, Ud. Shujat Khan, Pt. Ajoy Chakraborty, Ud. Rashid Khan, Pt. Tejendra N. Mazumdar, Pt. Debashish Bhattacharya, to name only a few. Samir Chatterjee lives in the New York-New Jersey area, and has been a catalyst in the fusion of Indian and Non-Indian music, in his own creations and others as well. He performs with Pauline Oliveros, William Parker, Branford Marsalis, Ravi Coltrane, Dave Douglas, Steve Gorn, Glen Velez, Boby Sanabria, Ben Verdery, Dance Theater of Harlem, Boston Philharmonic, Minnesota Orchestra, Ethos Percussion group, Da Capo Chamber Orchestra, Boston Musica Viva and other jazz, classical and avant guard musicians and ensembles. He is member of jazz trio SYNC with Ned Rothenberg and Jerome Harris and quintet Inner Diaspora together with Mark Feldman and Eric Friedlander. He also collaborates with Sufi-Rock singer Salman Ahmad of Junoon from Pakistan. 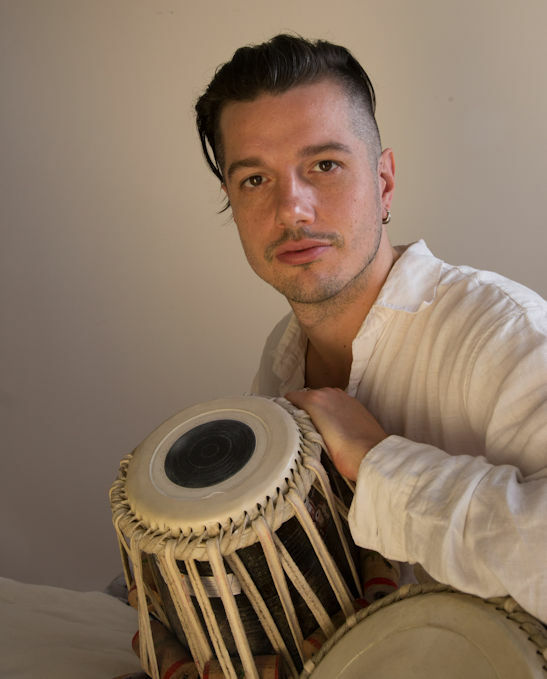 He is also the composer and director of Indo-Flame and Nacho Nacho - both blends of Indian and Flamenco dance and music, Chhand-Anand - a world percussion ensemble and Dawn to Dusk and Beyond – on the effect of music on humans and nature. He performs with Sanjay Mishra on his CD "Blue Incantation" featuring Jerry Garcia as guest artist. Samir Chatterjee has been teaching for the last 35 years and many of his students are established performers. He is the Founder-Director of CHHANDAYAN, an organization dedicated to promoting and preserving Indian music and culture. He has authored a comprehensive 654-page book entitled ‘A Study of Tabla’ and a guide book to Indian music titled ‘Music of India’. He is on the faculty at Yale University, Manhattan School of Music, University of Pittsburgh, New School for Jazz and Contemporary Music and University of Bridgeport in CT. He also contributes to several newspapers and periodicals. He won gold medal for his proficiency in a musical examination and has two master degrees, in English and History. Since June, 2008 Samir has been working relentlessly towards the musical revival of Afghanistan. He has made several trips to the country working with different levels of the society and administration and within a very short period of time he has been able to make a remarkable difference in the cultural life of the country. Namami Karmakar is regarded as one of the finest vocalistd among the younger generation of the Kirana Gharana. She had her initial training under Smt. Malini Mukherjee Bhowmick. Then she began learning under Late Pt. A. Kanan and Late Sangeet Bidushi Malabika Kanan is currently she under the able guidance of their disciple, Pt. Sanjoy Banerjee. Namami has a Masters in Classical Vocal Music from the prestigious Rabindra Bharati University. She stood first in All India BSNL Cultural Meet in 2007 and has successfully ranked in the prestigious Dover Lane Music Competition and West Bengal State Music Academy. She has also performed at major conferences in and in TV channels to great acclaim. Her debut performances at prestigious The Rubin Museum of Art in New York City, Maverick Concerts in Woodstock, India Center of Westchester, Gandhi Center Maryland and in Virginia were extremely well received and received praises from the audiences and music aficionados. She has also successfully assisted her Guru in workshops in Chhandayan Center, New York and India Center of Westchester. At present Namami is a faculty at Chhandayan Center of Indian Music in New York since 2016 and Kolkata Suromurchhana, Kolkata, imparting training to local as well as international students. She has a proven track record as a successful teacher as her students have earned applause from audiences and maestros of Classical Music. Note - This concert was originally scheduled for September 8. Dr. Nagaraj Rao Havaldar is a leading artiste of the Kirana Gharana. He is a disciple Pt. Madhava Gudi, himself a prime disciple of Bharat Ratna Pt. Bhimsen Joshi. He is also a disciple of Pt. Panchakshari Swami Mattigatti, a senior disciple of Pt. Mallikarjun Mansur, from whom he has imbibed the niceties of the Jaipur-Atrauli Gharana. Pt. Havaldar brings to his performances the subtle understanding of a scholar and the finesse of an aesthete. A gold medalist in M.A. (History and Archeology), he holds a Doctorate in Music from Karnataka University, his doctorate thesis being "The History of Classical Music in Karnataka". 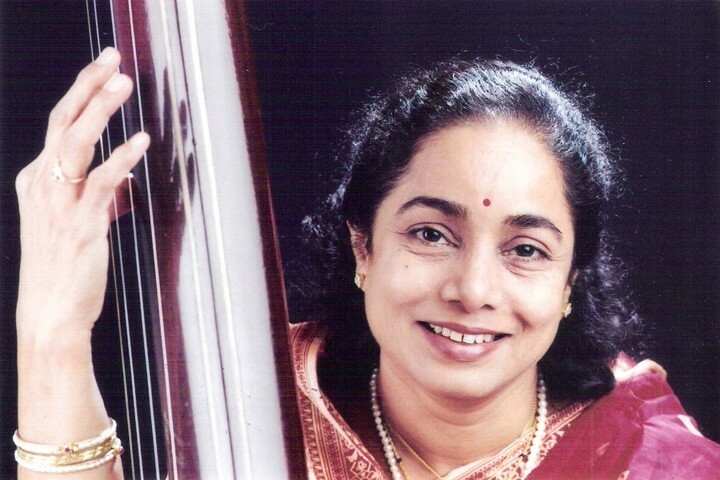 He holds with distinction, "Sangeetha Ratna", a degree in Hindustani Classical Music from Karnataka University. He has worked at the Music Archives, Hubli, All India Radio, Bangalore, as a Program Executive (1988-1991). He was also the chairman of Textbook Committee for Hindustani Music, for The Directorate of Textbooks, Karnataka. His column ‘Anuraaga’ based on the life of musicians has caught the imagination of readers. He has been contributing articles to various leading Kannada papers and weekly magazines. Hampi University has published a book titled ‘Badalaaguttiruva Kaalaghattadalli Shastreeya Sangeeta’ (“Indian Classical Music in Changing Times”) written by Dr. Havaldar. During his study for "Sangeetha Ratna", a six year degree course Hindustani Classical Music from Karnataka University, Dharwad, Karnataka, he studied under Pt. Mallikarjun Mansur (the Head of the Department of Music). At the university, luminaries like Pt. Panchakshari Swami Mattigatti, Pt. Basavaraj Rajaguru, Pt. Sangameshwar Gurav and Dr. B.D. Pathak were his faculty members. While his style reflects his extensive training from Kirana masters, he is equally at ease with the Jaipur-Atrauli specialties such as Basanti Kedar, Kaunsi Kanada, Jai Jai Malhar, Shivmat Bhairav, Kabir Bhairav, Marwa Thaat Bhibas, Nat Malhar and many more. Gifted with a powerful voice that easily traverses three octaves, his music has a powerful emotional and intellectual appeal. His renditions of bhajans in various languages create a spiritually uplifting ambience. Pt. Havaldar has performed all over in India, at festivals such as the Hampi Utsav (Karnataka), Sankat Mochan Sangeet Samaroh (Benaras), Salt Lake Music Festival (Kolkata), Swar Zankar (Pune) etc. He has toured the U.S. and the U.K. extensively, and performed at the Chhandayan All Night Music Festival (New York and Toronto), Dhrishti Foundation Tribute Concert (Chicago), Arsha Vidya Gurukulam (Pennsylvania), Chinmaya Mission (Chicago), amongst others. Pt. Havaldar is frequently invited by Corporations and Universities to give lecture-demonstrations on Indian classical music appreciation, and stress management through music. He has given lecture-demonstrations at multinational companies such as Alcatel-Lucent (New Jersey), IBM (New York), Wipro (Bangalore) etc, and at universities such as the Yale University, University of Notre Dame, Northwestern University, University of Buffalo, University of Milwaukee, Bradley University, and Valparaiso University. He has been a visiting faculty at Elmhurst College in Chicago during Fall 2011, teaching Indian classical music to American music-major students. His regular visits to the US since 2001 have won him lot of fans, students and admirers. Dr. Havaldar is the founder & president of Sunaada Art Foundation, an organization that aims to promote and preserve Indian classical music for the future generations, by archiving rare recordings, organizing concerts, and promoting senior, but lesser known artistes in Hindustani music, especially from Karnataka. Pt. Havaldar has been a pioneer in popularizing the Kannada Khayal by adapting Vachanas, literary works of Haridasa and suitable contemporary poetry in Kannada to the traditional khayal form. His last visit to USA in 2011 August to December as a visiting professor of Hindustani Classical Music at Elmhurst College Chicago, his performance at the World Music Festival in Chicago & Sawai Gandharva Bhimsen Mahotsav at Pune have caught the global attention. His music can be heard on Youtube. Omkarnath was born into a family of Musicians. His father, Dr. Nagaraj Rao Havaldar, is a well known Hindustani Classical Vocalist & his mother Smt. Sudhamayi is a graduate of Fine Arts. His maternal grandfather Sri. K. Raghavendra Rao, is a renowned music critic. His paternal grandfather Sri. Rama Rao Havaldar is an intuitive composer of traditional Kannada Devotional Music. Grandmother Smt. Ambuja Bai is well versed with Vachana Sahithya, Dasa Sahithya & regional traditional songs. His younger brother Kedarnath Havaldar is a promising Tablist of Farukhbad Gharan (Desciple of Pt. Rajgopal Kallurkar, Pt. M. Nagesh and Pt. Samir Chatterjee). Omkarnath was initiated into roots of Hindustani Classical Music by his father Dr. Havaldar and his learning under the parental care is an ongoing process. The talent and promise that Omkarnath showed naturally prompted his parents to request the Doyens like Pt. Madhava Gudi ( Desciple of Bharath Ratna Pt. Bhimsen Joshi ) of Kirana Gharana and Pt. Panchakshari Swami Mattigatti of Atrauli Jaipur Gharana to train and hone the skills of their son. Omkarnath is fortunate to inherit the finest nuances of both the Gharanas. He is now pursuing his Thalim in Dhrupad and Khayal from Pt. Indudhar Nirody. Omkarnath is a graduate in Psychology (from National College Jayanagar) and this has helped him to search out the emotional aspects of his Gharanas to blend them with technical skills of his natural vocalism. He has completed a Masters Degree in Music from (Karnataka State Gangubai Hanagal) KSGH University of Music and Performing Arts, Mysore. Kedarnath Havaldar is fortunate to be born into a family of musicians. His father, Dr. Nagaraj Rao Havaldar, is a renowned Hindustani Classical Vocalist. Kedar's mother, Sudhamayi, is a trained musician and a graduate from the College of Fine Arts in Mysore. His elder brother, Omkarnath, is an accomplished vocalist, having already established a niche in the field of classical music. Kedar’s journey in music began with vocal training from his father at a very young age. But young Kedar was fascinated by the possibilities of Layakaari, rhythm and the Tabla. As it is said, "Swaramaatha Layapithaa," (Melody is the mother and Rhythm is the father). 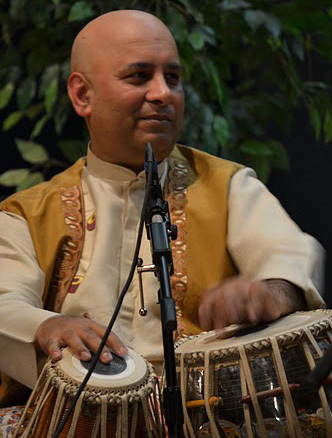 After pursuing his vocal training for five years, his initial training in Tabla began under Pt. Rajgopal Kallurkar, a renowned maestro of the Faroukhabaad Gharana. Kallurkar's affectionate training for the next 12 years helped Kedar blossom as a competent soloist and an accompanist. Kedar's quest for knowledge drove him to Pt. M. Nagesh, another dedicated teacher, and a disciple of Pt. Puttaraj Gawai. Panditji's vast experience and interaction with many senior musicians has been handed over to young Kedar with much forethought and care. Kedar is also a recipient of Kishora Prathibha Puraskaa, a state award for Tabla. Presently, Kedar is learning from the internationally renowned Tabla maestro Pt. Samir Chatterjee. He went to Kolkata for a true Gurukul experience, in the year 2009 and continued his Taaleem from Samirji in the Chhandayan Centre for Indian Music, Manhattan, New York, for the next 2 years and continues to learn his Guru. He has completed his Post-Graduation in Tabla with a Gold Medal (Master of Arts) at KSGH University, Mysore. Kedar's constant interaction with his Guruji and the visiting musicians of the Chhandayan Center has fine-tuned his musical thoughts. Kedar is extremely privileged to receive a special taaleem of vocal accompaniment under great Maestros like Pt. Madhava Gudi, Pt. Panchaksahri Swami Mattigatti. Presently, he trains with his father, Pt. Dr. Nagaraj Rao Havaldar and Pt. Indudhar Nirody. Constant interaction with these Maestros has made Kedar a sought after accompanist. 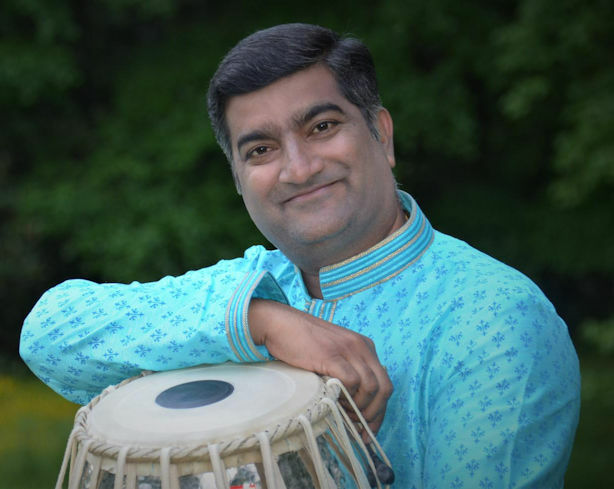 Academically, Kedar is active with the Azim Premji Foundtion teaching “Indian Rhythms in the course Introduction to Indian Classical music” and now currently teaching a course independently on “Global Rhythms – A World Phenomenon”. Sameer Havaldar hails from a family of musicians. His first guru was Pt. Prabhudeva Salimath in Talikoti. Sameer's father Seshacahala is a retired Professor of History, used to sing Kannada light music and also an approved Kannada cricket commentator. Sameer's uncle Dr. Nagaraj Rao Havaldar is a noted Hindustani Classical Vocalist and a scholar. Sameer's college education and advanced music study has been with his cousins Omkarnath and Kedarnath Havaldar in Bangalore. Sameer holds a Masters Degree in Mass Communication and Journalism. As well as studying harmonium, he is an accomplished singer too. Sameer is continuing his vocal and harmonium learning under his uncle Pt. Dr. Nagaraj Rao Havaldar and Pt. Panchaksharaiah Hiremath respectively. Join a master vocalist for two afternoons of intense study. Sohini was born and raised in Kolkata India. She was introduced to vocal music at the age of two under the guidance of her mother. At the age of nine she expanded her studies to include learn the instrumental music on the sitar in the tradition of the Imdadkhani Gharana (Itawah Gharana). For the next ten years she was tutored in vocal music by her mother Smt. Tripti Chakraborty, a disciple of Sangeetacharya Amiya Ranjan Banerjee, and on sitar by the late Pt. Debkumar Bhowmik, a disciple of Ustaad Vilayat Kkhan sahab, and her father Mr. Anjan Kanti Chakraborty. both Bishnupur Gharana (vocal) and Imdadkhani Gharana (sitar). Sohini performed in the major cities of India including Kolkata, Varanasi, Mumbai, Hyderabad, Lucknow, and Delhi. Her first International debut was at DHAKA and RAJSHAHI, BANGLADESH in the year 2016. Murari Smriti All India Music Competition, and 2nd prize in the Sangeetmilon Classical Voice of Kolkata in KHAYAL in 2016. She received the 1st place in Doverlane ALL India Music Competition in both thumri and bhajan and was the top scorer of the year 2017. Arko Majumdar is a talented young harmonium player who presently enrolled in the Bachelor program at the Rabindra Bharati University. “Sur-Moni” Deepsankar, a young sitarist born in the year 1986, is the fourth generation sitarist of an enlightened musical family. He embarked on his musical journey at a tender age under the tutelage of his father, Pandit Hara Shankar Bhattacharya.He also trained under the watchful guidance of his dadaguru, Padmabhusahan Ustad Abdul Halim Jaffer Khan Saheb . He is the torch bearer of the JAFFERKHANI BAAJ, a unique style of sitar playing invented and perfected by Ustad Abdul Halim Jaffer Khan saheb. Netherlands, France, Germany, Slovenia, Greece, Spain,Sweden have been highly appreciated by the cognoscenti and the commoners alike. Deepsankar has been awarded by several Gold medals and titles from various organizations all over in the world. Gold Medal From Harballav Compitition. also a 1st prize winner of Chetla Murari Smriti Sangeet Sammilani in Kolkata. After that he received the 3rd prize in Saptak (Pt. Nandan Mehta Shastriya Taal-Vadya Spardha) at Ahmadabad in 2016.
at Jalsaghar Smarananjoli in Golpark Ramkrishna Mission. He also played at Oikotan Hall, UGCC, Kolkata with Avirup Pal and Prangshu Moheswari. He is now B-high grade artiste of All India Radio. “A daring dedicated performer. His fans fondly say he plays the sitar through strings that sing” an apt description by Vibe for the sitarist/ vocalist Hidayat Husain Khan. Rolling Stones praises him and his music as “Jazzing up the sitar. Khan adds new shades to the music with his mastery.” He has been described, as “born to play” by Montreal Times. He has been fortunate to have performed at The Black Ball Charity in NYC with Alicia Keys and has collaborated with such illustrious musical names as Ndugu Chancler, Ronnie Woods, Usher, Zakir Hussain, Pete Townshend, Will.I.Am, Jay Z and Darryl Jones. Few upcoming performances and albums include a musical theater with Danish Hussain which will premiere in October 2018 in New York City. “Music and Story” book release with author Namita Devidayal on the life of Ustad Vilayat Khan in fall 2018 will be interesting book reading with live performance. He has ongoing “Art of Sitar” lec/dem on creativity and music. His new Single “ Anjane Raste” with Carls Low and Amit Inderdo is to be released with a music video in July 2018. It is not a surprise to know that he is a direct descendant and proponent of one of the most treasured lineages of eastern classical music. Youngest son of the legendary Ustad Vilayat Khan, globally acclaimed as the greatest of all sitarists. 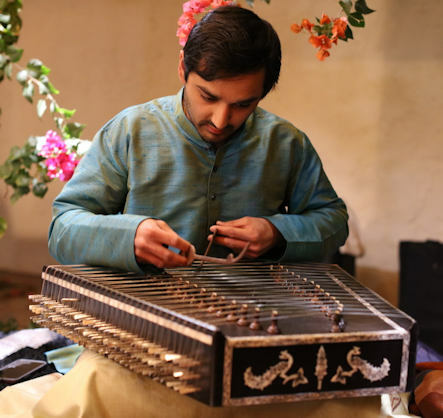 The London Times aptly describes Hidayat as "the tradition carries on impeccably." Some of the major venues include the Simthsonian Institution, Washington Conservatory of Music (WCM), Toronto Public Library, Colombia University, University of Alabama, Statson University, University of Maryland (UMBC) and numerous other prestigious venues. Monir also performed tabla solo in Berhampore, West Bengal, India on the occasion of his Grandfather (Late) Ustad Kader Buksh's birthday. Some of the noteworthy vocal performers from Pakistan and Bangladesh that he has performed with include Pakistan's Pop sensation Alamgir, Shahanaj Rahmatullah, Sabiha Mahboob and Fatema Tuz-zuhrah among many others. Learn how to repair and maintain your harmonium under the tutelage of a master craftsman. Hailing from a family with a strong cultural background, Nabin Kumar Paul showed interest in Harmonium from his childhood. His first teacher was his grandfather and he started playing the instrument from a tender age of eleven. After rigorous practice and regular lessons for a couple of years under guidance of Pt. Mani Prasad , he moved on to take lessons from Sri Samir Jana for a few more years. Bangiyo Sangeet Kalakendra, Parampara School of Music, Purba Sangeet Tirtha etc. Since 2006 he has been visiting Europe and the United States to share his expertise. He is equally known for his harmonium accompaniment and his craftsmanship. He also accompanied in digital recordings of classical and light classical music. Due to unavoidable circumstances, Pawan Benjamin is unable to perform for this concert. Jonathan Kay is a virtuosic multi-woodwind instrumentalist that has created a respected name for himself in the thriving music scenes of Toronto, Canada and Kolkata, India. Being involved in many different circles of performing musicians, Jonathan offers a creative and unique voice in a diverse range of musical situations. Jonathan started studying and performing on the tenor saxophones at the age of 11, and naturally cultured the ability to express himself on many other members of the woodwind family including flute, bansuri (Indian classical flute), dizi (ancient Chinese flute), clarinet, bass clarinet, soprano, alto and baritone saxes. Throughout Jonathan’s musical life he has been fortunate to learn and perform with some of the world’s greatest western musicians including, Pat LaBarbera, Kenny Garrett, Seamus Blake, Lenny Pickett, Rudresh Mahanthappa, Dave Douglas, Ingrid Jensen, Paquito D’Riviera, Phil Woods, Greg Osby, Mark Dresser, Vijay Iyer, Steve Gorn, Phil Dywer, David Mott, Mike Murley and family member Alastair Kay. In 2006 Jonathan traveled to Kolkata, India in search of understanding the concepts of Indian Classical Raga music. It was at this time that Jonathan was initiated into the traditional Guru-Shishya Parampara training under Guru Pandit Shantanu Bhattacharyya, one of India’s premier Classical vocalists. In 2009, he returned to India understanding of the importance of immersing himself in the tradition and lifestyle of Hindusthani Raga Music. By sincerely devoting himself to intensive riyaz (practice) and focusing on the spiritual nature of Raga music the subtle nuances of each Raga began to express themselves through his western soprano and tenor saxophones, as well bansuri and dilruba. In his pursuit of Nada Brahma and the study of Raga Consciousness, Jonathan is exploring higher ideals of creativity and expression and its purest application to his western musically. His dedicated Sadhana has already helped him emerge as an innovative contributor to the evolution of Raga music performance. It is his rendering of Ragas in their entirety on saxophone, in both the vocal and instrumental styles, that has innovated saxophone techniques and created a style of playing the saxophone hitherto un-attempted. His research and development have produced the first non-tempered saxophone designed to more accurately express the subtle shruti’s (mirco-tones) of the Ragas. Jonathan’s travels in India he has performed many concerts playing Raga music and Indo-Jazz. He has been blessed to learn from and collaborate with some of India’s greatest maestros including Ajoy Chakrabarty, Rashid Khan, Bickram Ghosh, Tejendra Majumdar, Dhruba Ghosh, Subhankar Banerjee, Nityanand Haldipur, Ronu Majumdar and Ranajit Sengupta. Jonathan is culturing a deep understanding of Eastern philosophy and music, and aims to unify the fabrics of both Eastern and Western music and culture in a harmonious and innovative expression. His research includes composition and performance in a variety of large and small ensembles with the use of eastern and western instruments. Alongside brother Andrew Kay and bassist Justin Gray, the trio formed “Monsoon”, a collective of creative musicians bonded by their joint vision of an innovative East-West synthesis. 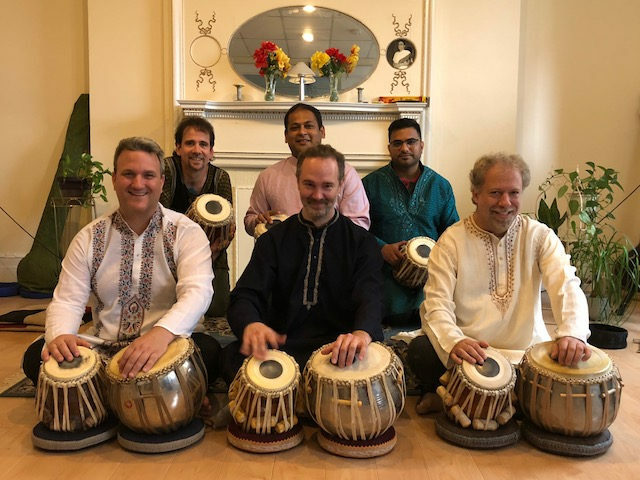 Monsoon has received international acclaim over their 6 years together has featured many wonderful guest artists including their guru, Pandit Shantanu Bhattacharyya, Ingred Jensen, George Koller and Alastair Kay. Jonathan has also played saxophone and bansuri with some of the world’s best Indo-Fusion artists including world music pioneer Bickram Ghosh’s “Rhythmscape” and “Across Boarders”, Tejendra Majumdar, Subhankar Banerjee and Rashid Khan’s “Nsemble”, Ronu Majumdar Shubhen Chatterjee’s “Karma”, and Ravi Naimpally’s “Tasa”. Internationally recognized for his musicianship at age 17, Jonathan has emerged as a creative and innovative artist. His beautiful tone and melodic approach has proven him to be mature and sophisticated musician. Jonathan has had extensive experience traveling and playing many forms of music but focuses on the pursuit of his own creative voice through creative modern jazz and Indo-jazz. He composes music for a variety of ensembles and always strives to push the creativity and artistry of contemporary music while respecting and relating to the traditions of the past masters. For many years Jonathan and his modern jazz band “The Peddlers” were featured on a weekly basis at clubs all over Toronto. He utilized this opportunity to internalize and expand his jazz vocabulary, maturing him into the exceptional jazz saxophonist and bandleader he is today. Alongside his brother Andrew, Jonathan co-founded “Kayos Theory”, a cordless “Coltrane” inspired quartet that explores more contemporary and worldly approaches to composition and expression. An Evening celebrating the concept and manifestation of Guru in Indian Life and Music. 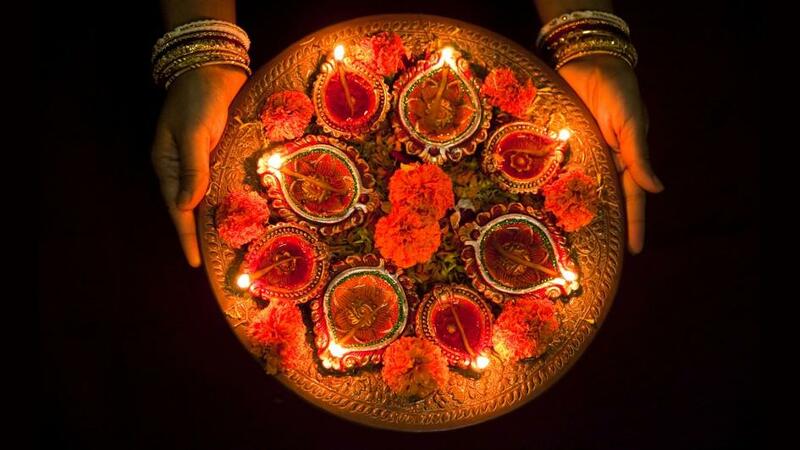 One of the unique concepts of Indian life is that of the "guru". Loosely translated, this means "teacher", but it means more than that, as the guru is also associated with a spiritual instruction as well as practical instruction. The guru–shishya tradition denotes a succession of teachers and disciples where the transmission of knowledge passes from the guru to his disciples in a continuous lineage. In the past, disciples would often live with their guru. While that has become less common in the modern world, the close relationship between gurus and disciples is still the most important way to pass down knowledge in the Indian tradition. 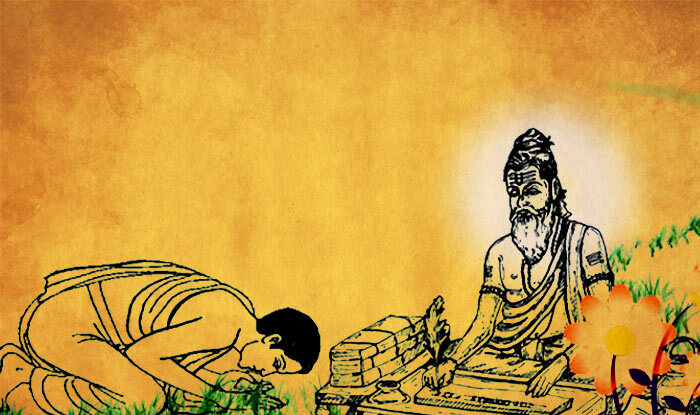 Guru Purnima is a festival which was originally celebrated in India and Nepal in memory of the ancient great sage Vyasa who edited the four Vedas, wrote the 18 Puranas, the Mahabharata and the Srimad Bhagvata. It not only celebrates the memory of Maharshi Veda Vyasa but is also a time dedicated to teachers – both spiritual ones and academic ones. 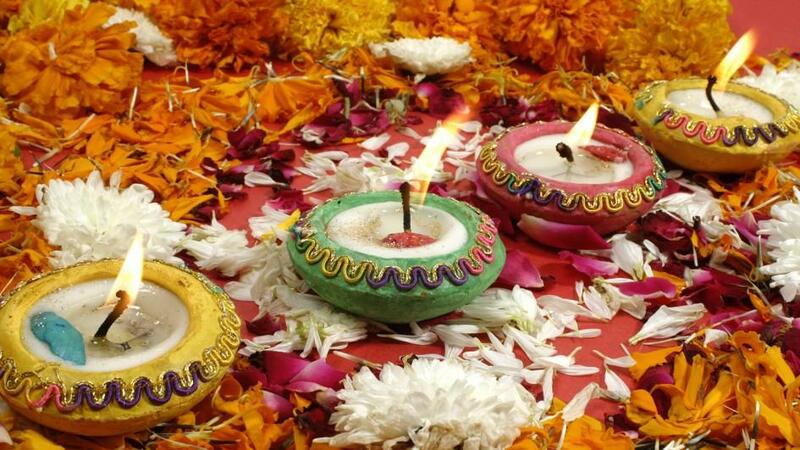 It is observed on the full moon day, Purnima, in the Hindu month of Ashad – which falls around July or August on the Gregorian calendar. 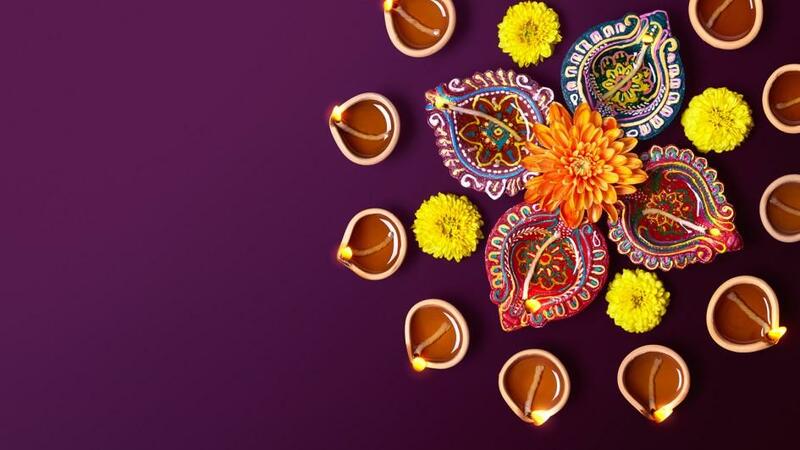 In 2018, this date falls on July 27th, and the Chhandayan family is celebrating with an evening of celebration and impromptu performances. it with a gathering to honor all gurus, but especially the head of Chhandayan, Samir Chatterjee. Come and join us for an evening of celebration and impromptu performances to honor him and all gurus. Initially, Vinay received knowledge in vocal/harmonium/tabla from Shafiq Rahman in his teens. After completing his college in both Pre-pharmaceutical science as well as Pre-Law in Delaware, Vinay sought out to learn Santoor in India. In 2011, with blessings and direct guidance of Padma Vibhushan Pandit Shivkumar Sharma, Vinay began his studies under Takahiro Arai and Dhananjay Daithankar. He later moved back to USA to learn from Kunal Gunjal. 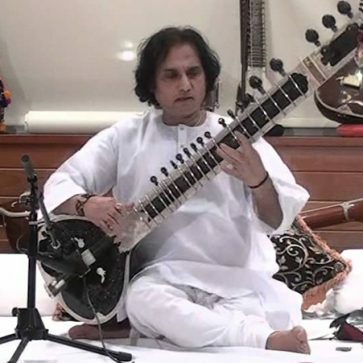 To expand his knowledge in music, Vinay has learnt from different Maestros such as late Pandit Ramesh Mishraji, Parthasarathi Chatterjee, Jay Gandhiji, Suryaksha Deshpandejii, and sits with Maestros who come through Shanti Mandir for performances to expand his knowledge and receive the invaluable blessings of them all. His music is influenced by his stay in Ashrams and ancient practices of meditation and yoga. His music is interwoven with the general feeling of peace and stillness interspersed with lively, powerful and rhythmic phrases. He currently resides at Shanti Mandir, Walden where he manages their spiritual centers around the world and continues his studies and performances of Santoor regularly. Vivek was invited by late Pandit Arvind Mulgoankar ji to play tabla solo in ustad Amir Hussein Khan's 47th barsi concert in 2016 held annually in Mumbai. He has also played solos in Solapur, Pune, Mumbai, Arizona, NJ, NY and in front of Tabla faculty and students in Baroda at MS University. He was invited as a child artist under the scheme of extra mural lecture series on characteristics of Farukhabad gharana in 2015 and 2017 by the dean of MSUniversity school of music. Aside from playing solo Vivek enjoys accompaniment. He has accompanied several upcoming talented musicians and established artists. His tonal quality, clarity of bols, speed and musicality has been recognized by musicians and music lovers all around the world. Aside from tabla, VIvek loves to play tennis and excels academically. 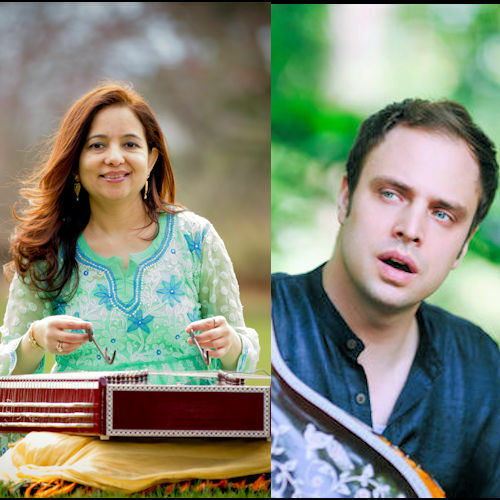 We are happy to announce that the 2017-18 Certificate Course Final Recital will be held on Saturday, June 16th, 2018 from 1 to 5 pm at the Chhandayan Center for Indian Music in New York City. It will be an exclusive event featuring only the students enrolled in the Certificate Course. We cordially invite you to attend with your family and friends. Indrayuddh Majumder has been learning Sarode from his father, the world-renowned Sarode Maestro Pandit Tejendra Narayan Majumdar, since he was five years old. He has also been receiving guidance from his mother Vidushi Dr. Manasi Majumder, who is a renowned Indian Classical vocalist. Initially, he had also received basic taalim from his grandfather Late Ranjan Majumder. Indrayuddh had developed keen interest in every genre of music right from his childhood. He has taken up Sarode as his primary choice because of his sheer love for the instrument and Indian Classical Music. He concentrates on maintaining the purity of Indian Classical Music coupled with his smart presentation in his concerts. He had the privilege to perform in front of Dr. Manmohan Singh (the former PM of India), Shri Buddhadeb Bhattacharya (the former Chief Minister of West Bengal), Shri Gopalkrishna Gandhi and Shri M.K. Narayanan (the former Governors of West Bengal) among many. Indrayuddh is also a passionate music composer. He has composed music for a few projects, and has also assisted his father in the background score of a Bengali Feature Film on Byomkesh, 'Sajarur Kaata'. An MBA in Marketing, Indrayuddh is also the Co-Founder and CEO of an Indian tech-startup, ShowVelvet, which serves as an online interactive platform for Artists and Audience all over the world. Indrayuddh is on his Debut USA Concert Tour. He is just completing one and half month schedule of concerts all across USA. He performed solos as well as duets with his father. The Tabla legend, Pandit Swapan Chaudhuri, accompanied them for a few of those concerts. Pt. Aniruddha Bhattacharya is one of the most accomplished vocalists of the Kirana Gharana of Hindustani Classical music. He has been performing extensively across India and overseas including touring in the USA, the UK, and France where he featured among the stalwarts of classical music. Born in 1971, a young Aniruddha loved music enough to start listening, appreciating, and learning from a very early age under the able guidance of his mother Smt. Gouri Bhattacharya - one of the earliest disciples of Pt. A. Kanan and an outstanding vocalist herself. In 1989, Shri Bhattacharya's formal training started at the feet of veteran gurus Pt. A. Kanan and Smt. 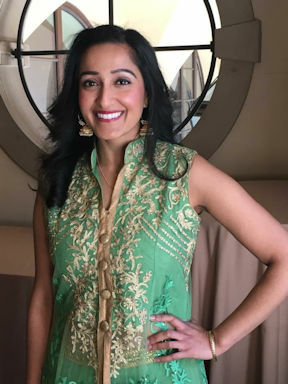 Malavika Kanan. In 1990 he entered the ITC Sangeet Research Academy as a scholar. He had an outstanding academic record, and was an Honours Graduate in Zoology from the University of Calcutta. However, he decided to pursue a career in music and was recognized as a musician and resident tutor by the ITC SRA a few years later. The Sur Singar Sansad of Mumbai awarded him the coveted "Surmani" title in June 1998. Accolades have continued to pour in whenever and wherever he performed. He is an "A" grade artiste with All India Radio and has done multiple national programs for them. He is an empaneled musician with Doordarshan and ICCR as well. He has performed in numerous music festivals all over the world. He is currently the Head of the Department, Guru, member of the expert committee, and a scholarship examiner at the Shakri Begum Memorial Trust in Kolkata, an institute run by Ust. Rashid Khan. He has also been judging Indian classical music competitions throughout India. He is also an adept poet and composer in both the Indian and Western classical traditions. He has two Bengali poetry books to his credit which were released at the prestigious Kolkata International Book Fair. While not performing or traveling, his days are spent in research around the finer nuances and emotianal expressions of ragas, new compositions, and literary creations. Debabrata Gupta is an eminent name in the field of tabla. Born into a musical family, he began his training at the age of four. His gurus include Sri Subhash Thakur of the Delhi Gharana, Sri Alok Saha of the Punjab Gharana, and Sri Subrata Gupta of the Farroukabad Gharana. Debarata was fortunate to receive advanced training from Pt. Shankar Ghosh for 15 years and specialized training in taallaya from Pt. Bickram Ghosh. Debabrata’s diverse training even includes South Indian percussion under Guru N. Shankar and Sarode under Sri Amitava Mazumdar. Debarata was awarded the "Kala Ratnam" award by the T.T. forum in 2016. He has thrilled audiences as a solo performer and as an accompanist in major festivals and concerts. In the domain of Indian Classical Music, Mr. has established himself as one of the most talented harmonium players of his generation. He was blessed with the “Sangeet marg darshan” from musical guru Late Pandit A Kanan. He started learning as a child from his mother Smt. Chhanda Palit from childhood. He later learned from Sri Mongalmoy Bhattacharya and then from Sri Saroj Ghosh a disciple of the Late Pandit Prasun Banerjee. He also had training in Indian classical music expression in Harmonium from Pandit Deboprasad Dey. He is now undergoing a special training in Harmonium wizard from Pandit Jyoti Goho in ITC-Sangeet Research Academy. Shruti Sadolikar-Katkar is a ‘Top Grade’ artist of Akashwani (All India Radio) and Doordarshan (TV). She was initiated into music and groomed by her father, Pt. Wamanrao Sadolikar, a disciple of Pt. Vishnu Digambar Paluskar and Ustad Alladiya Khan (Founder of the Jaipur-Atrauli Gharana) and his son Ustad Bhurji Khan. Shrutiji trained for 12 years under Ustad Gullubhai Jasdanwala, renowned for his repository of rare compositions and complex ragas of the Jaipur-Atrauli Gharana. Shrutiji continued to learn from Ustad Bhurji Khan’s son, Ustad Azizuddin Khan, till his demise in August 2011. Shrutiji is a graduate of Mumbai University. 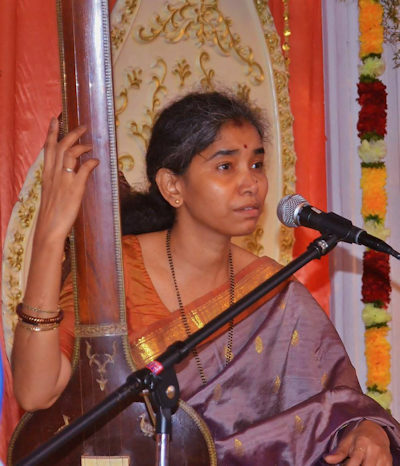 She received the Sangeet Visharad from Akhila Bharatiya Gandharva Mahavidyalaya Mandal with distinction and did her Master’s degree in Music from SNDT Women’s University, Mumbai, with Distinction, winning the Bhaskarbua Bakhale Prize. She is presently the Vice Chancellor of Bhatkhande Music Institute Deemed University, Lucknow. Shruti is a much sought after concert artist and sis well known as a scholar musician. Shrutiji has received a large number of prizes and awards which include the Raj Hans Puraskar, 2017; ‘Icons of Maharashtra’, Mumbai; the Sarvapalli Radhakrishnan Award, for her contribution to the Education Sector; the Jewel of Ruia Award from her alma mater, the Ramnarain Ruia College, Mumbai; the Swarayogini Prabha Atre Award, 2013; the prestigious Sangeet Natak Akademi Award for Music, 2011; The Sangeet Shiromani Award by Kashi Sangeet Samaj, Banaras, 2008; The Shanmukha Sangeet Shiromani Award by Shanmukhanand Sangeet Sabha, Mumbai, 2002. Shrutiji was awarded the Gopinath Savkar Prize, Talpade Memorial Prize and Pendharkar Prize for best production, best direction and best music direction for the play ‘Sangeet Tulsidas’ in 2001. She received the prestigious Dagar Gharana Sanman, from the Maharana Mewar Foundation, Udaipur, 1998. Shrutiji’s achievements include The Bhulabhai Memorial Institute Scholarship, 1975; Kesarbai Kerkar Scholarship (National Centre for the Performing Arts, Mumbai), 1976-78; The Homi Bhabha Fellowship (National Centre for the Performing Arts, Mumbai), 1994-96. 1. She has been a visiting professor at the Rotterdam Conservatorium in Netherlands. 4. She was a professor at the Department of Music, University of Mumbai. 5. Shrutiji is a guide for many research students for their PhD in Music. 7. She has also toured for delivering lectures on music in the UK, USA, Canada, France, Switzerland, Scotland, Germany, Mauritius, UAE, Muscat, Kuwait, Bahrain, Bangladesh, Australia, etc. 8. Shrutiji has and still continues to produce research based thematic programs on various aspects of Indian culture and music. 9. She has been contributing to various research journals and magazines by way of written articles on various subjects regarding Indian Classical Music and Performing Arts. 10. Her educational CD, ‘The Raga Guide’, was produced and marketed by Nimbus Records, UK. 11. She has been recorded by prestigious record companies in and out of India. 12. As a tribute to her father, Shrutiji revived the musical play SANGEET TULSIDAS after 60 years (Pt. Wamanraoji had played the protagonist in the play in 1930). 13. As producer-music director- coordinator, Shrutiji presented the Marathi musical play SANGEET SAMSHAY KALLOL at the WORLD MUSIC THEATRE FESTIVAL in Netherlands, April 1999. Amod Dandawate has been primarily trained in the Farrukhabad style of Tabla playing. He was born and brought up in Hyderabad, India, and later migrated to the USA. He was initiated into Tabla by his father Dr. Vasantrao Dandawate, a disciple of the legendary Maestro Ustad Amir Hussain Khan. He started playing Tabla at a very young age but seriously pursued the art form only after completing his Bachelors degree in Engineering. At that point, he received initial guidance and encouragement from Shafaat Khan while performing as an accompanist and then spent some time taking lessons from Ustad Zakir Hussain. Having settled in New Jersey he has been receiving advanced training, since 2001, as a disciple of Pt. Samir Chatterjee, a well known Maestro of the Farrukhabad gharana (http://www.tabla.org).